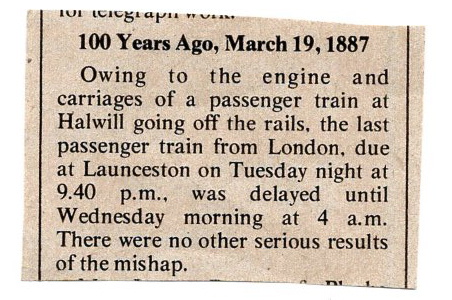 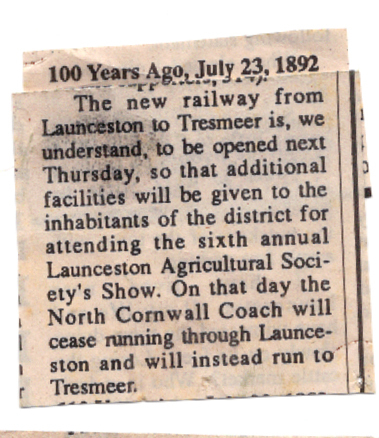 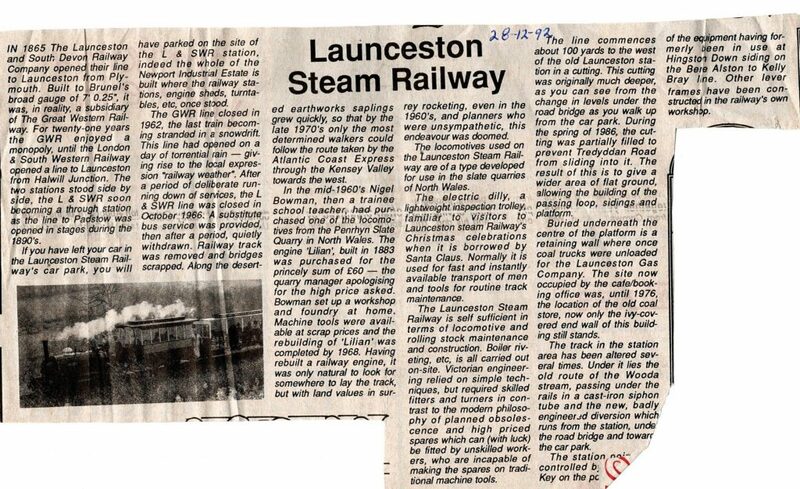 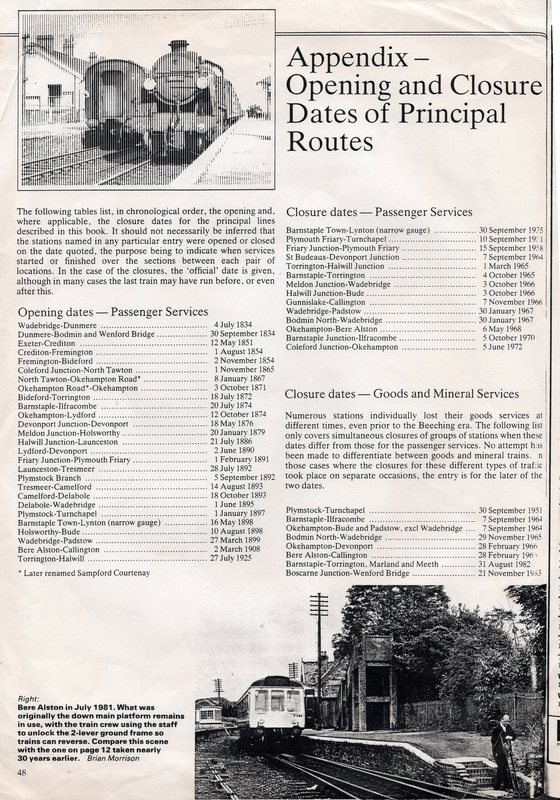 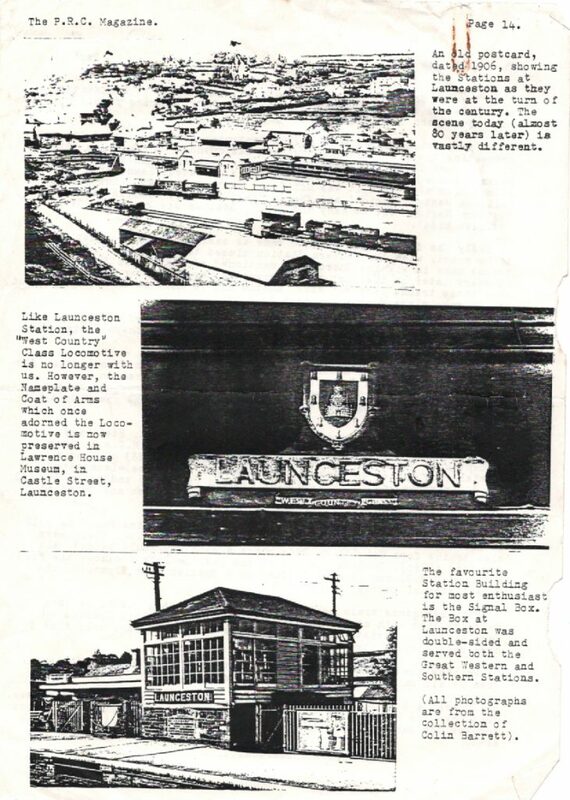 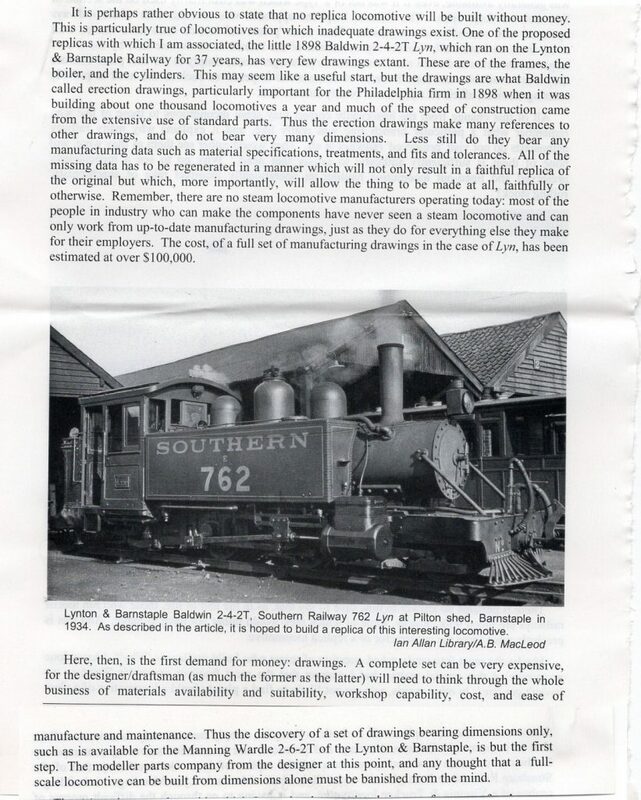 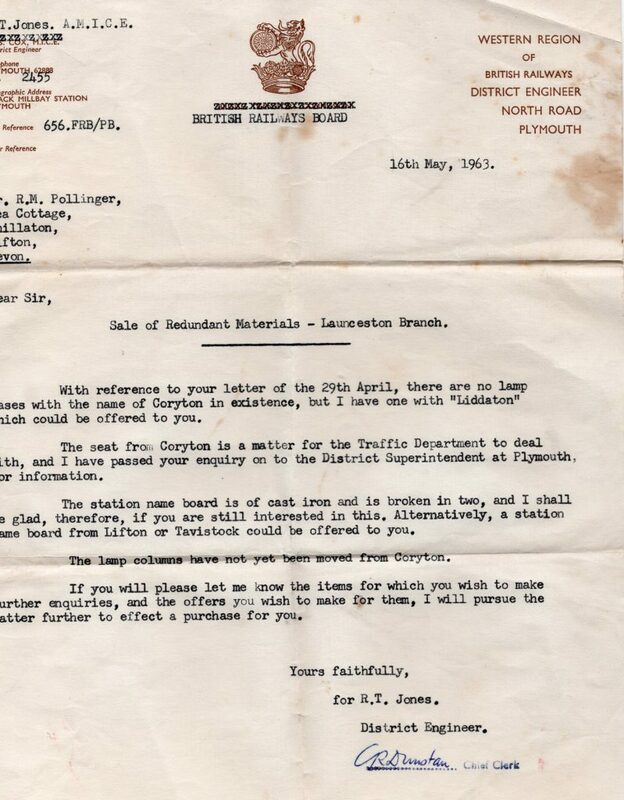 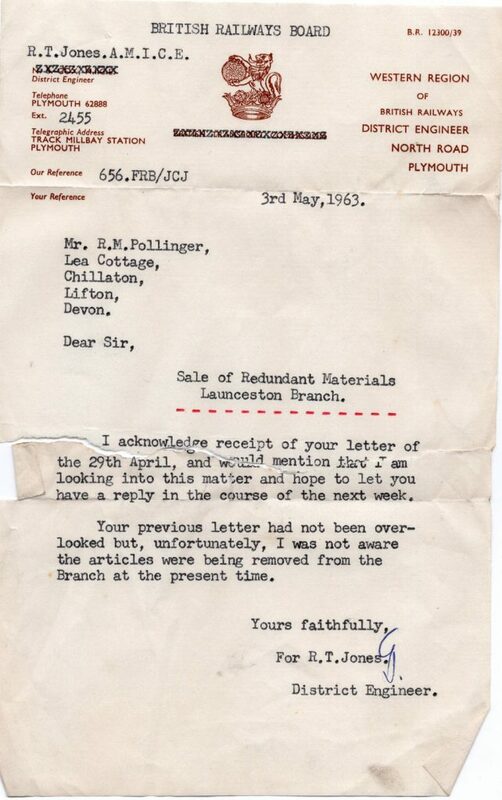 The Russell Pollinger Railway Collection | Launceston Then! 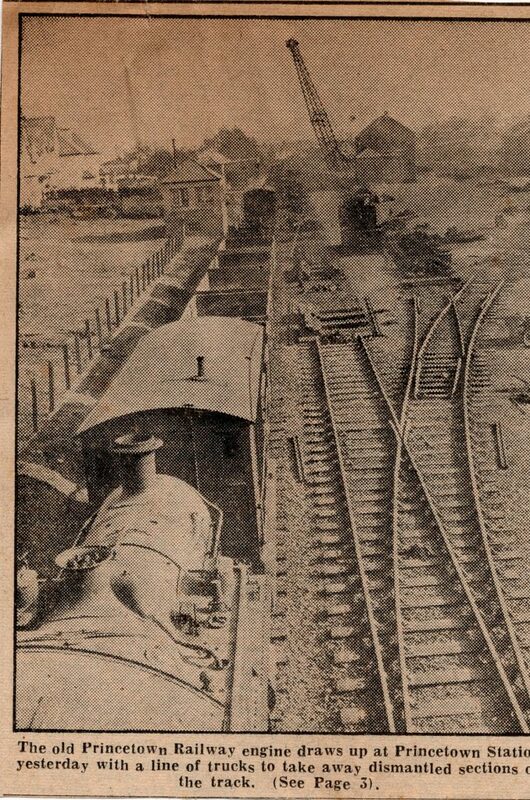 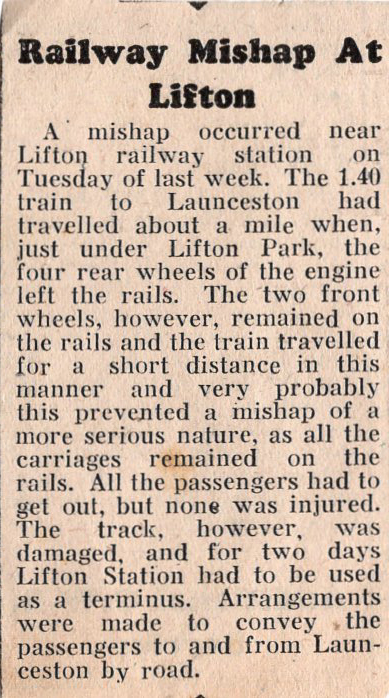 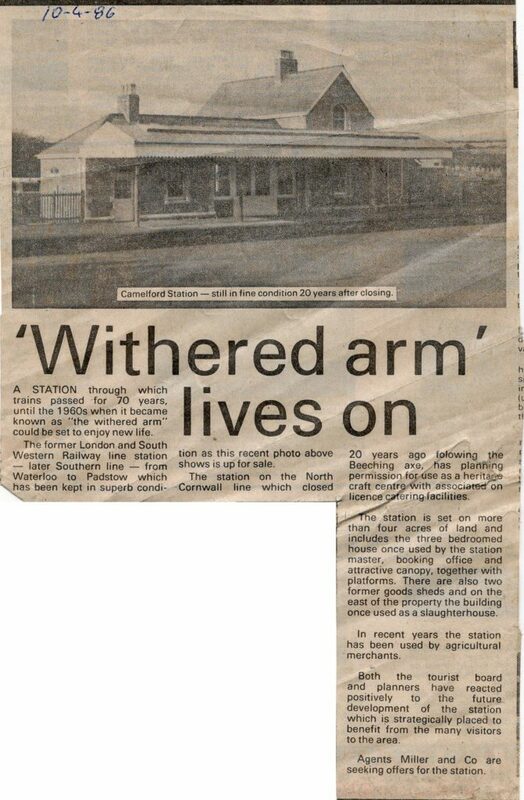 Russell Pollinger, long time chariman of the Launceston Railway Circle, was also an avid collector of photo’s and newspaper clippings of railway stories, in particular the ‘withered arm’. 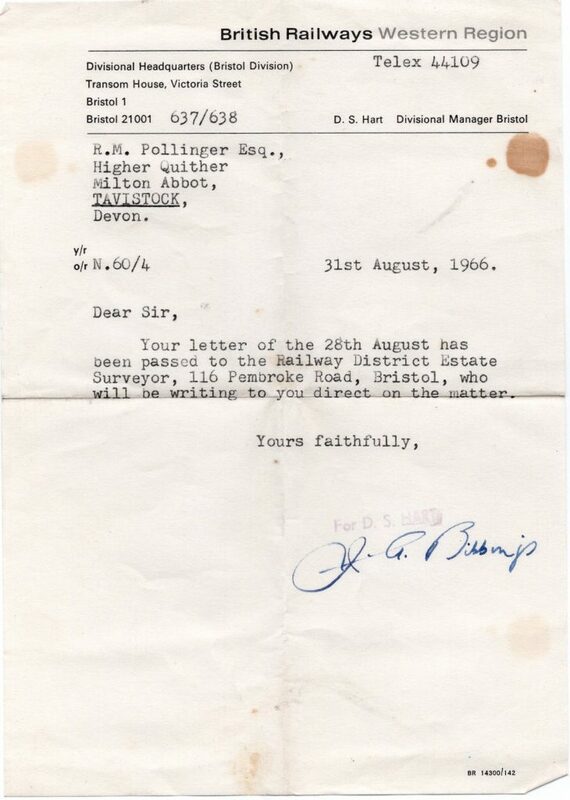 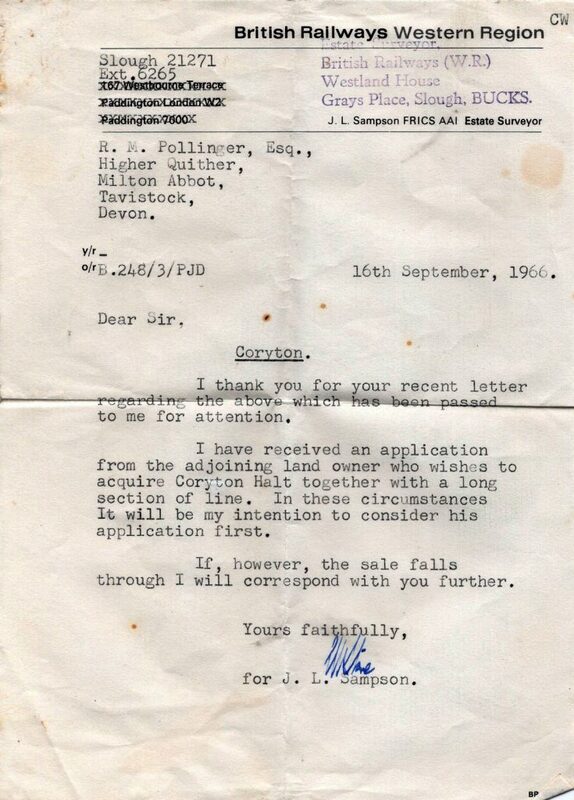 Here in dedication to his memory is that collection including correspondence he had with B.R. 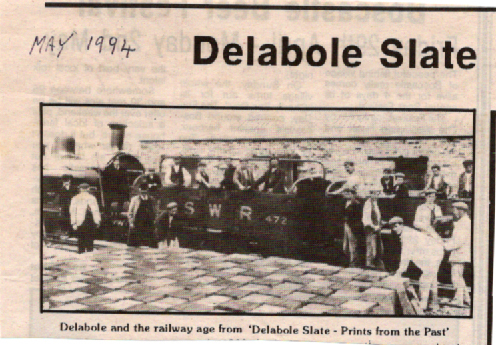 in digital form. 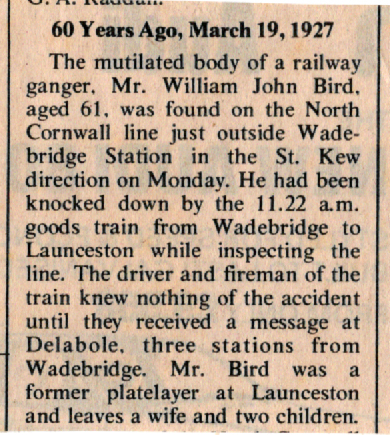 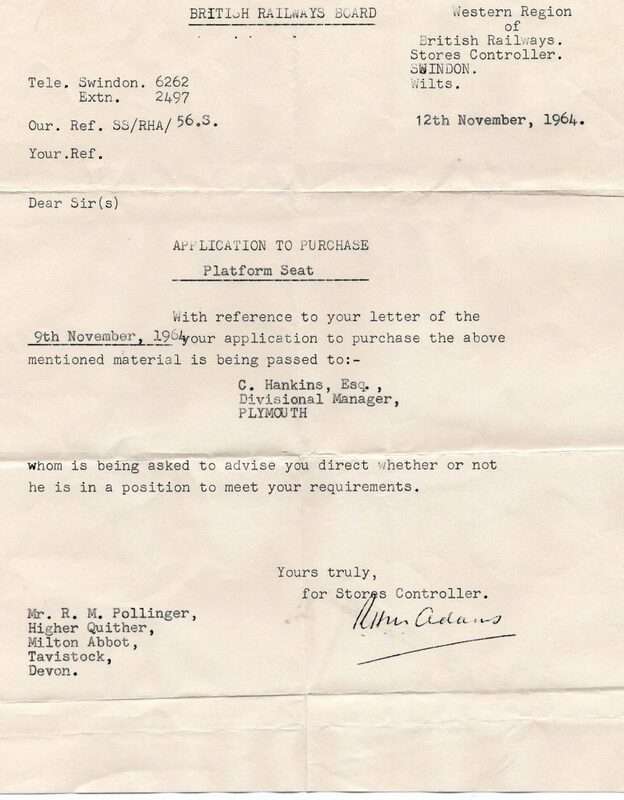 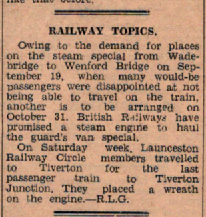 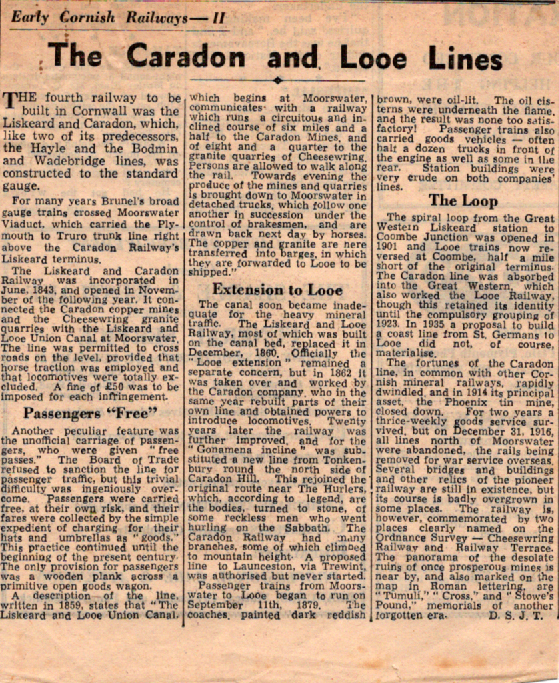 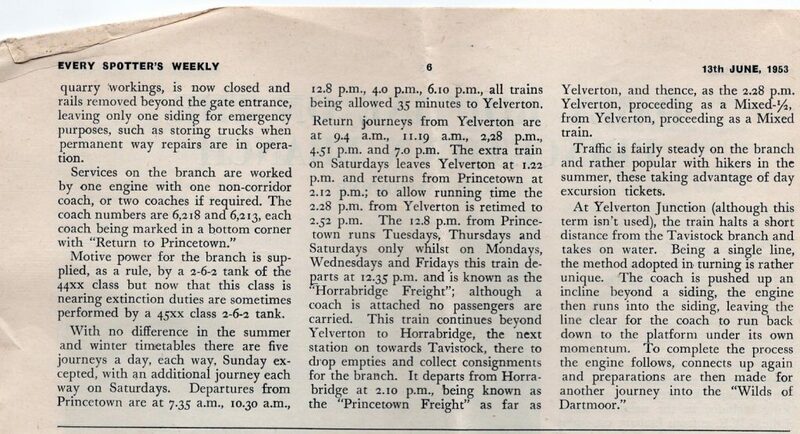 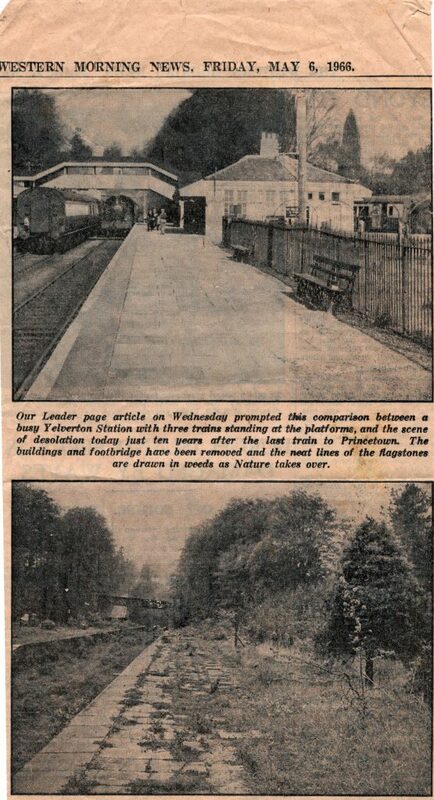 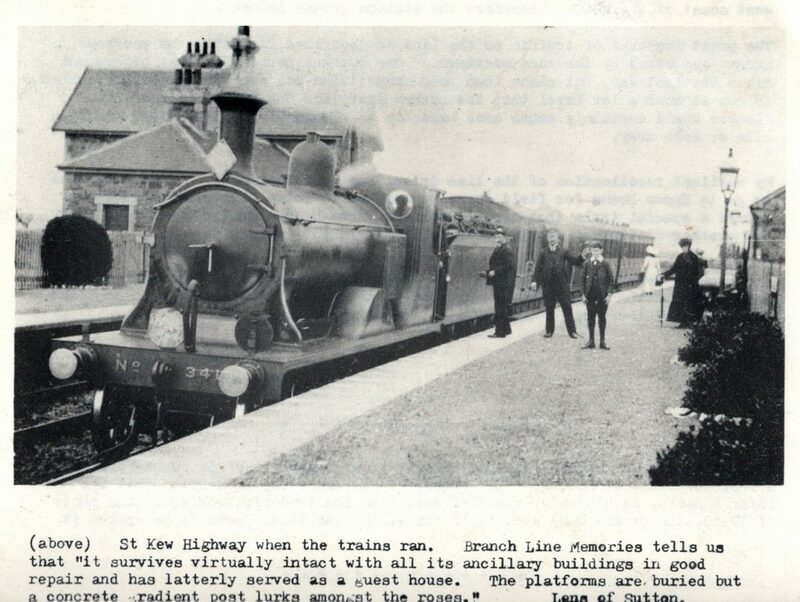 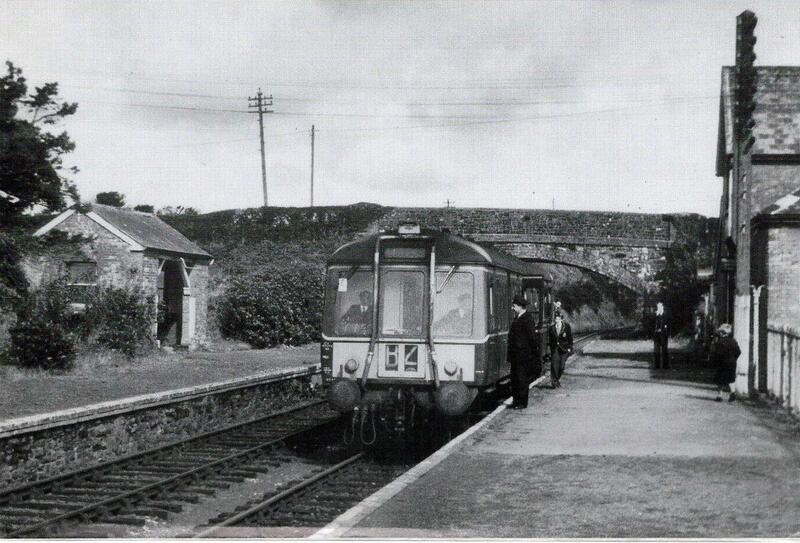 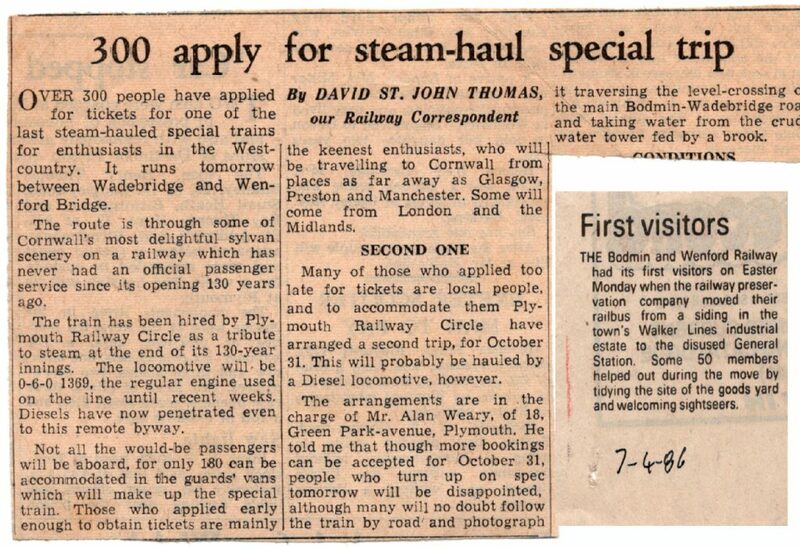 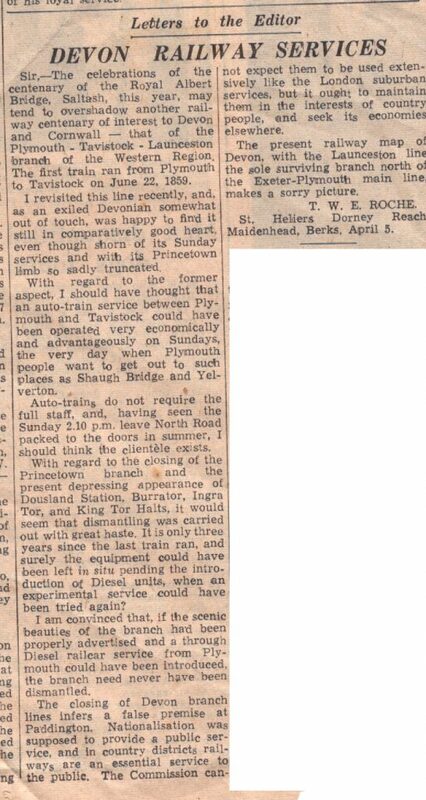 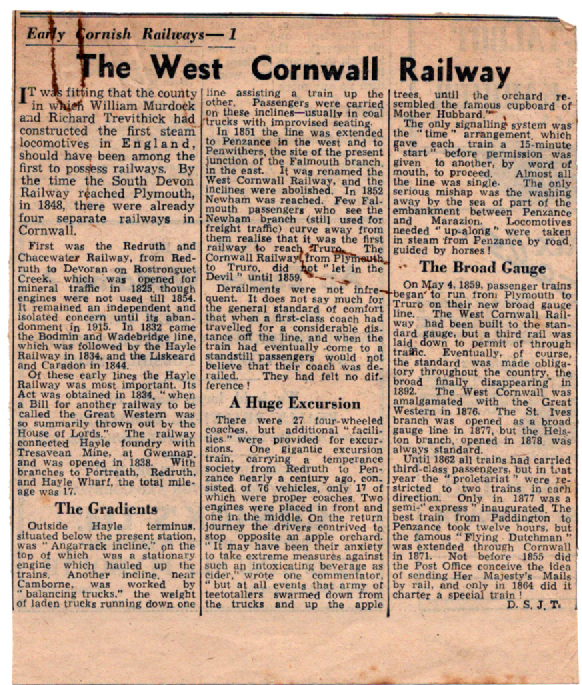 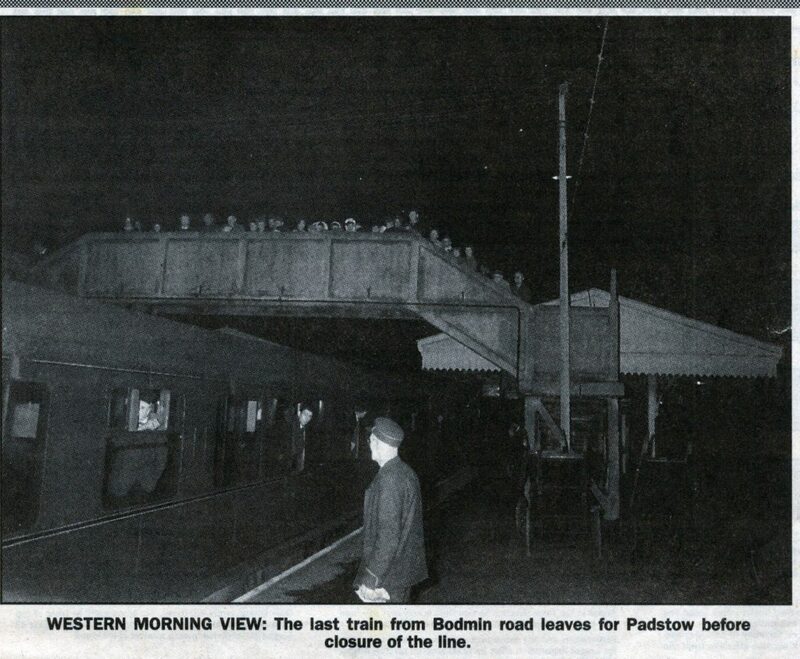 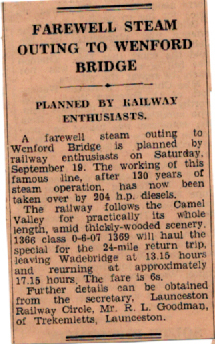 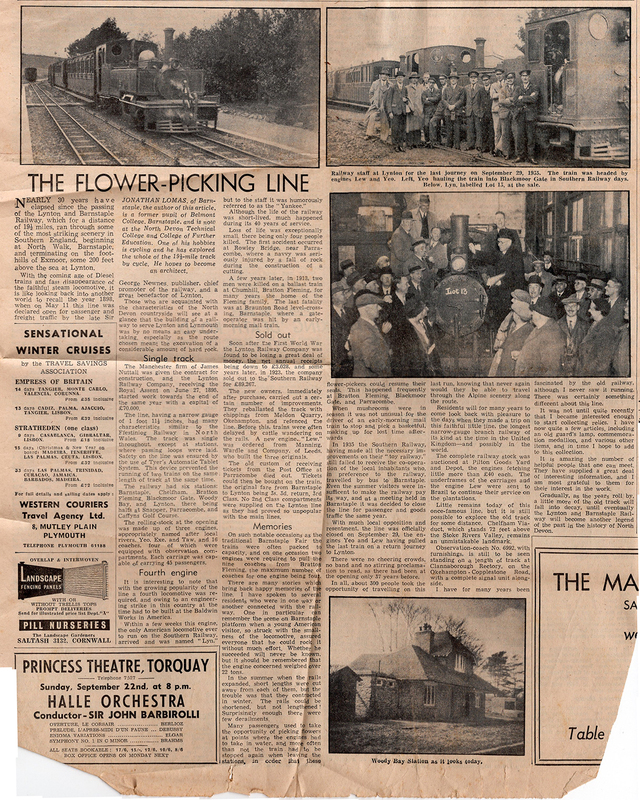 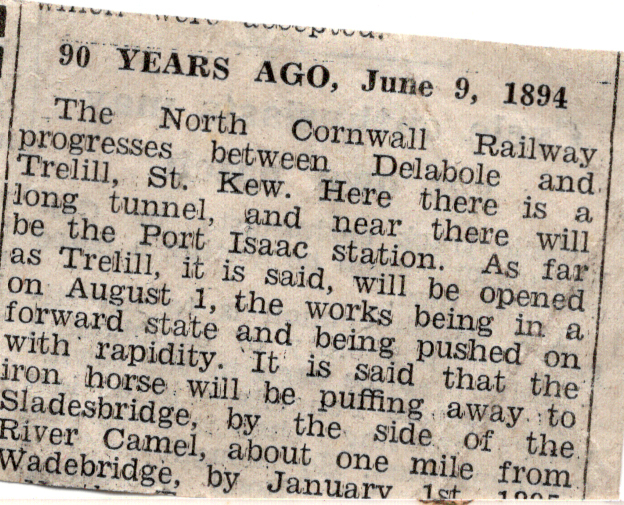 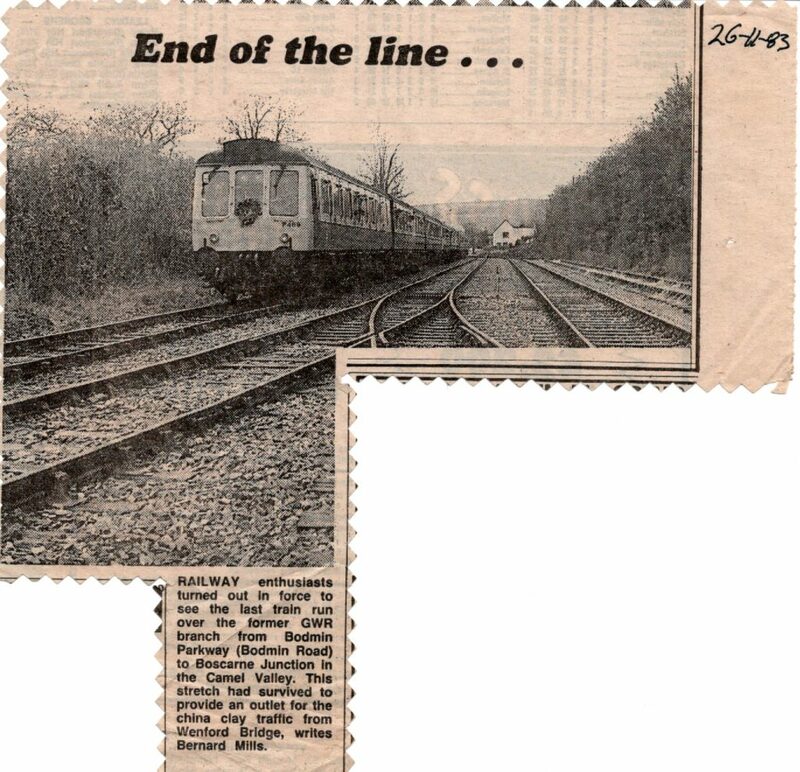 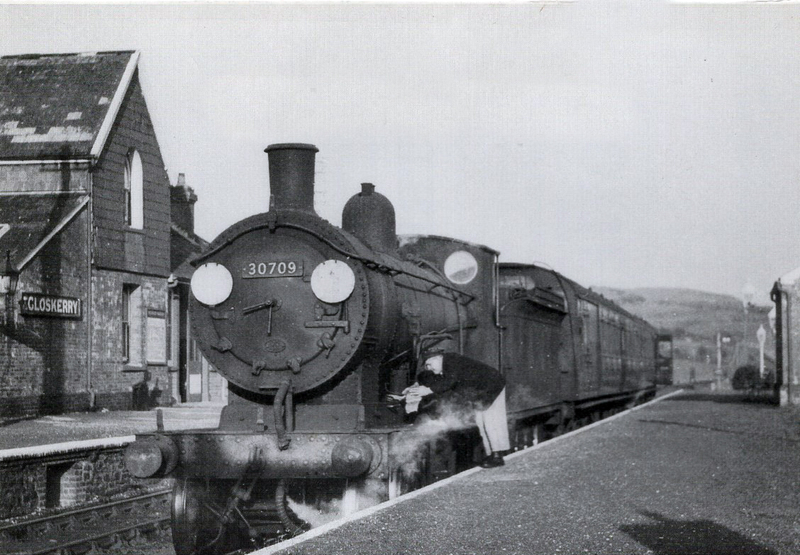 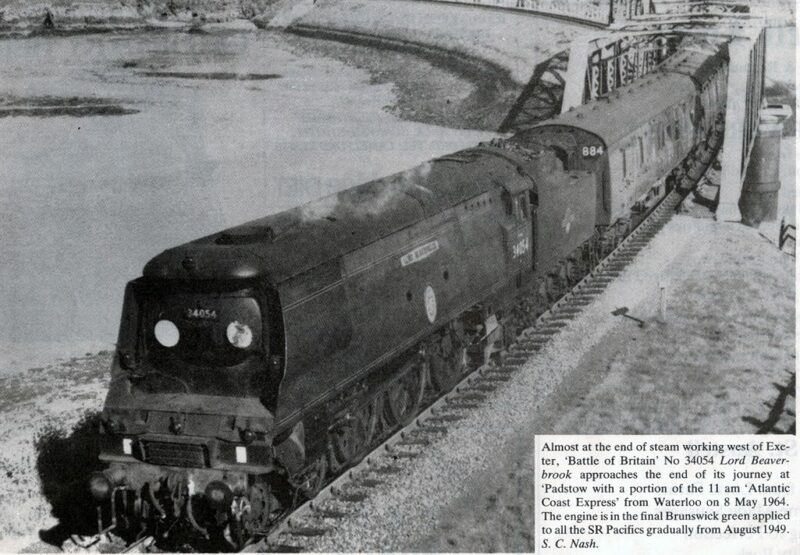 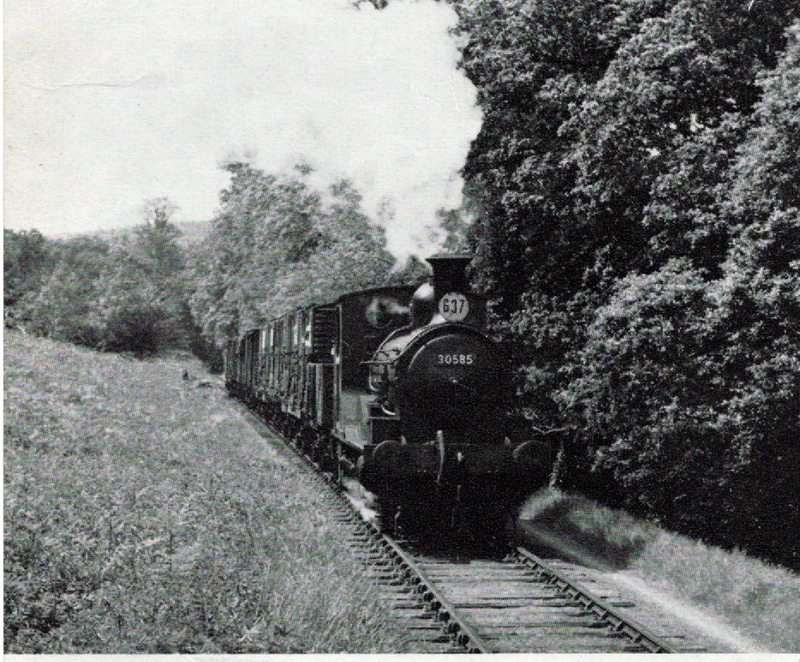 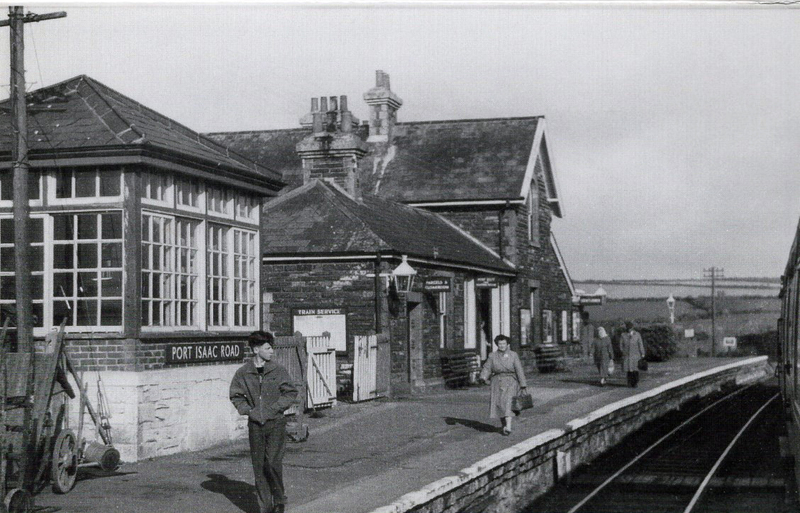 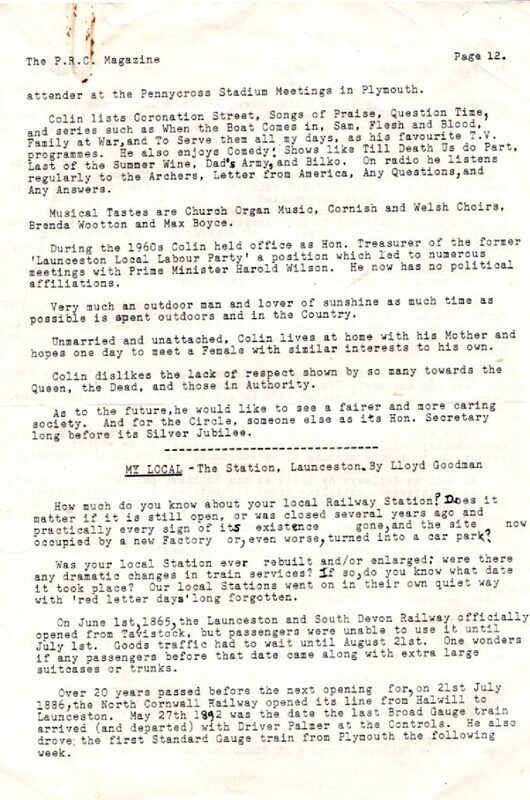 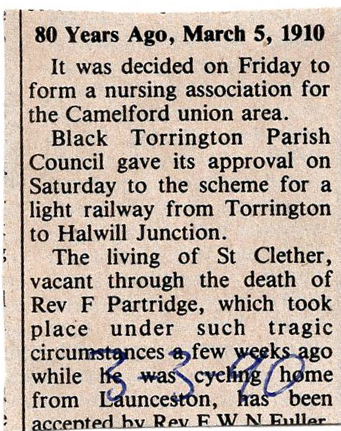 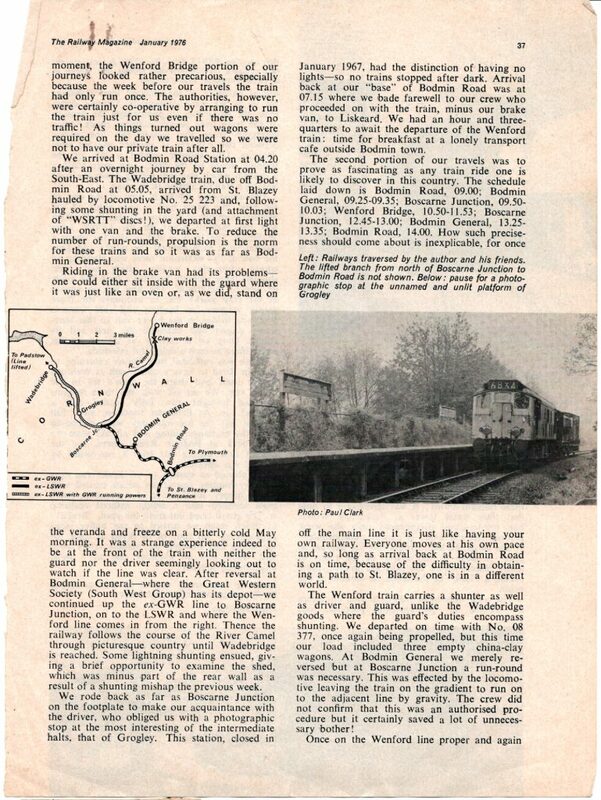 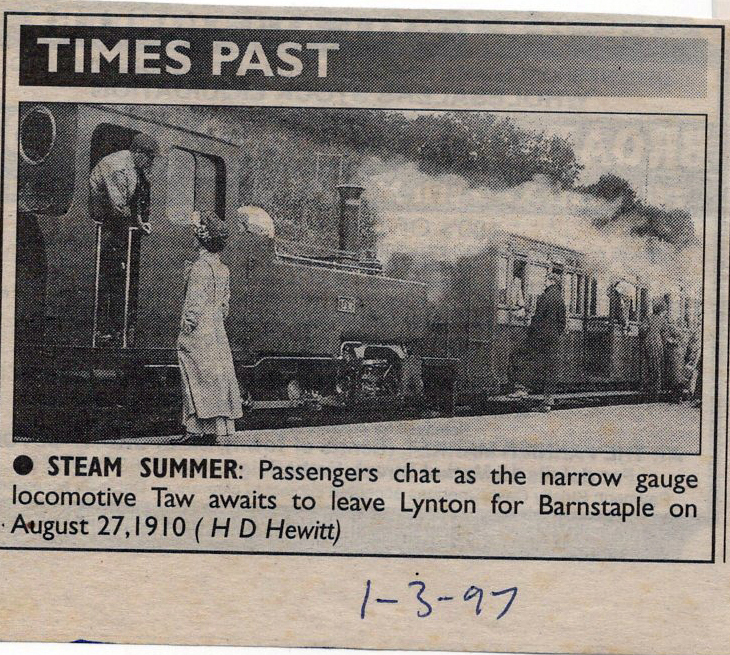 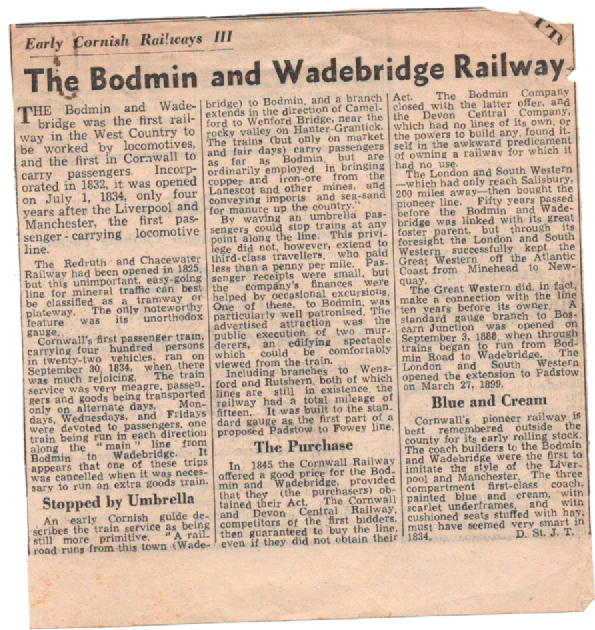 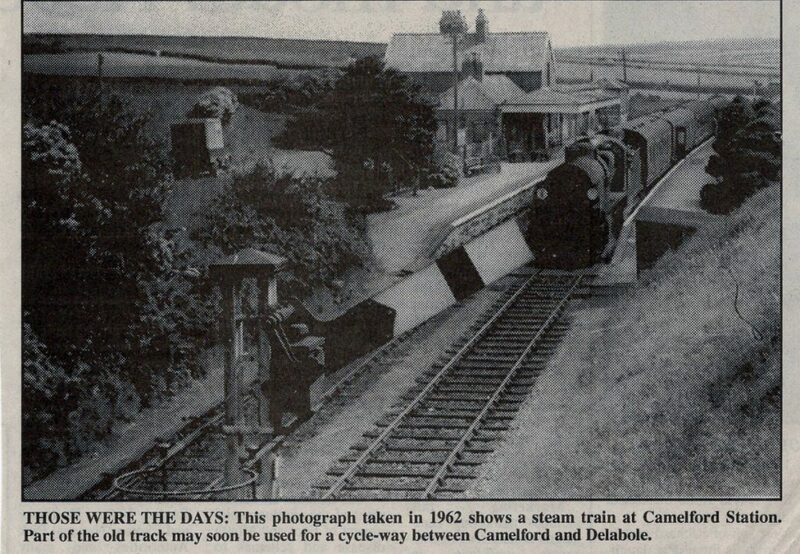 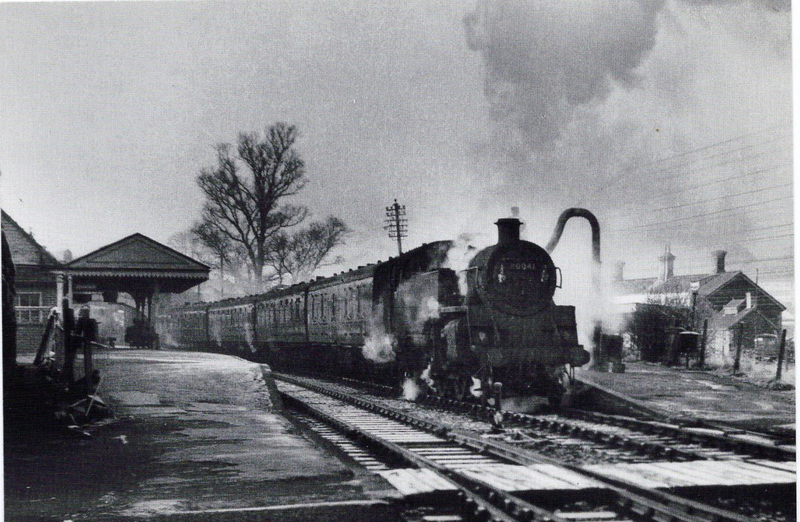 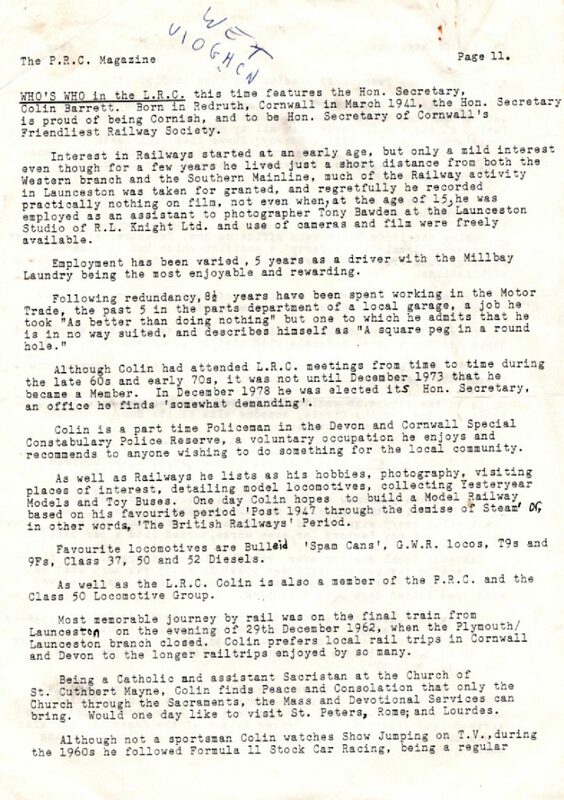 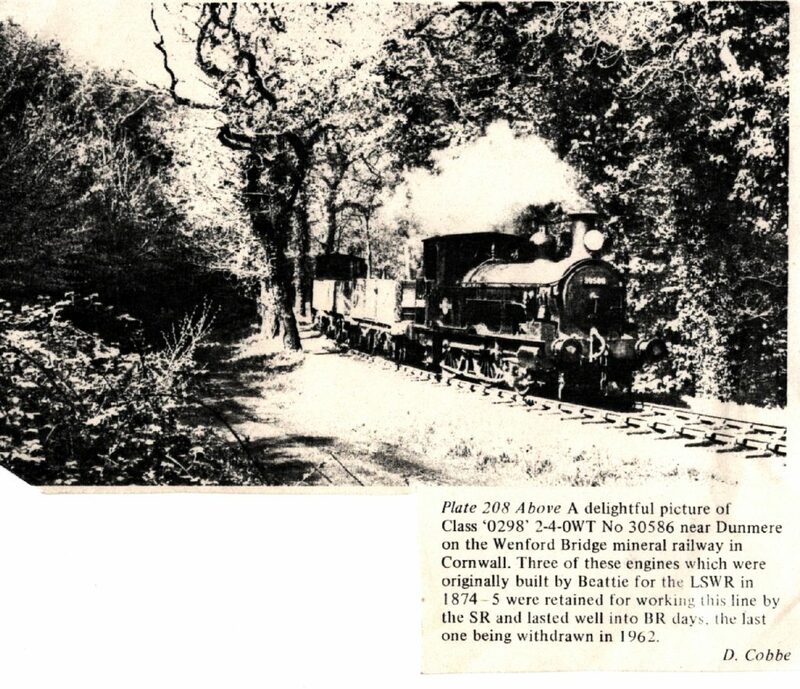 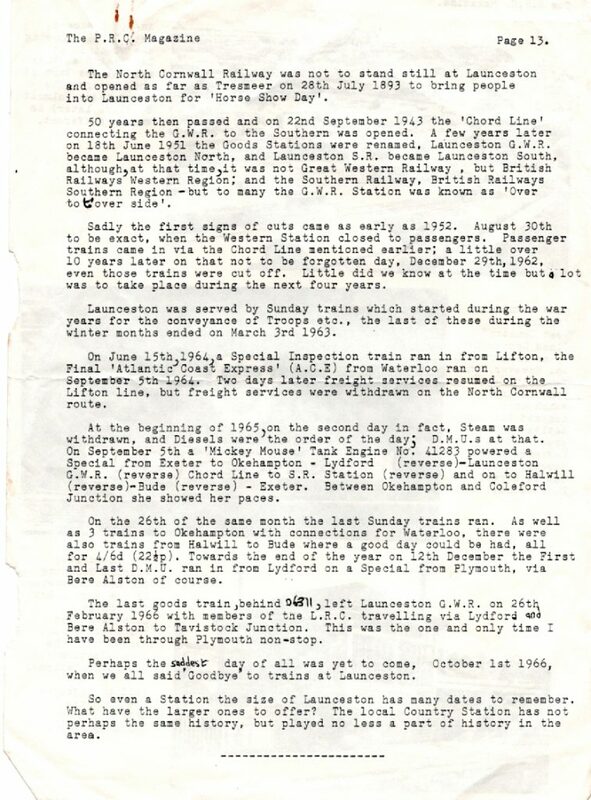 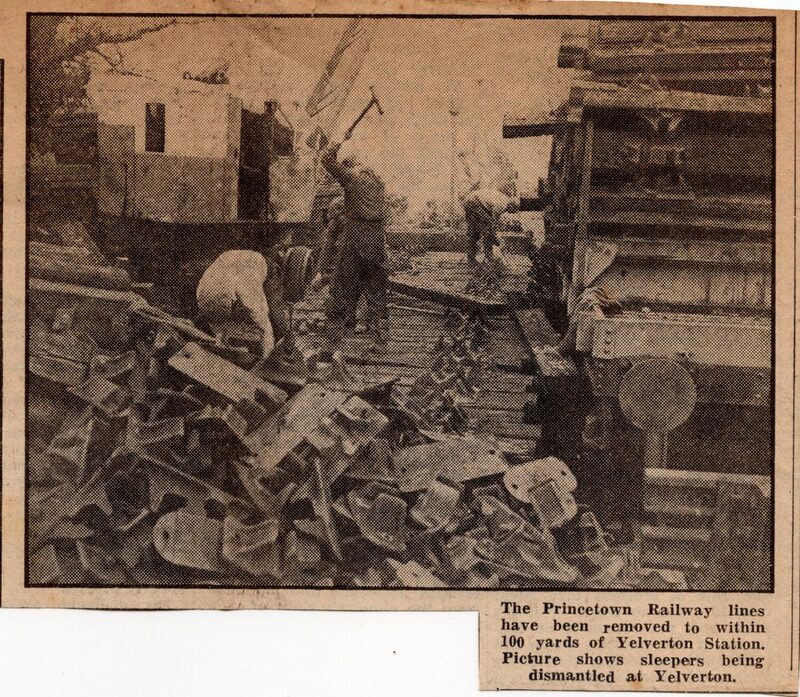 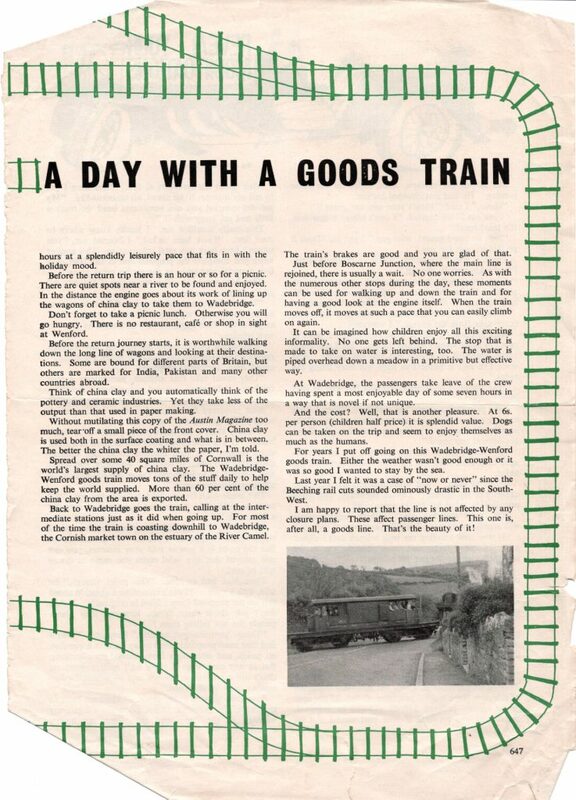 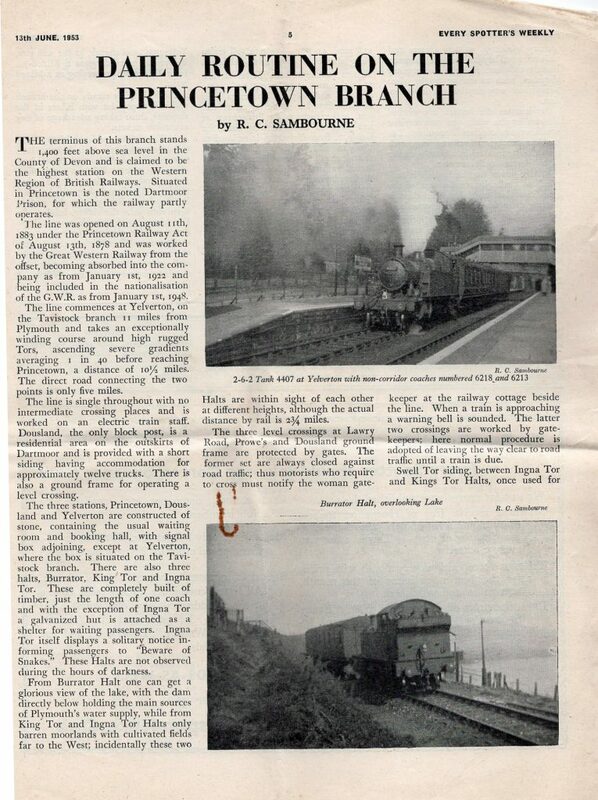 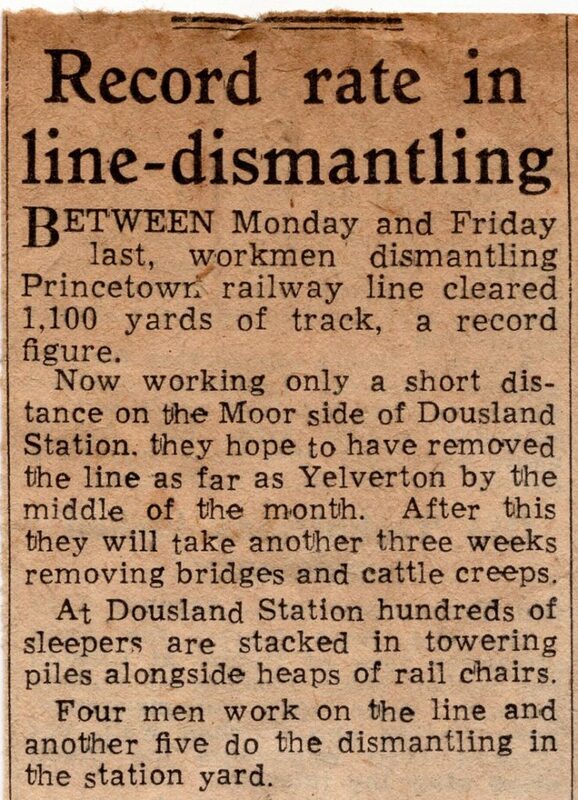 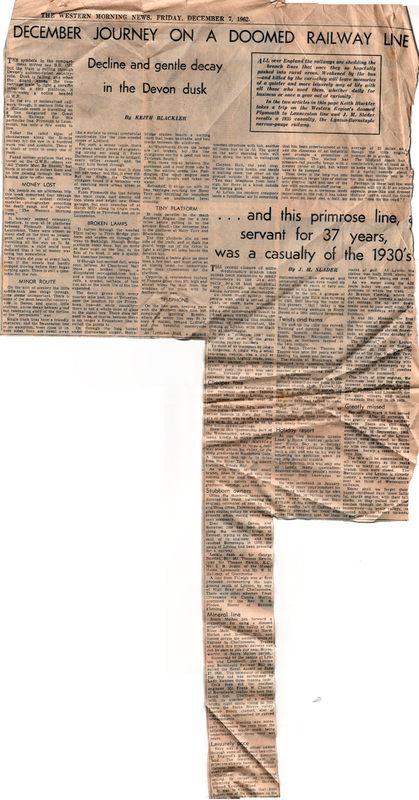 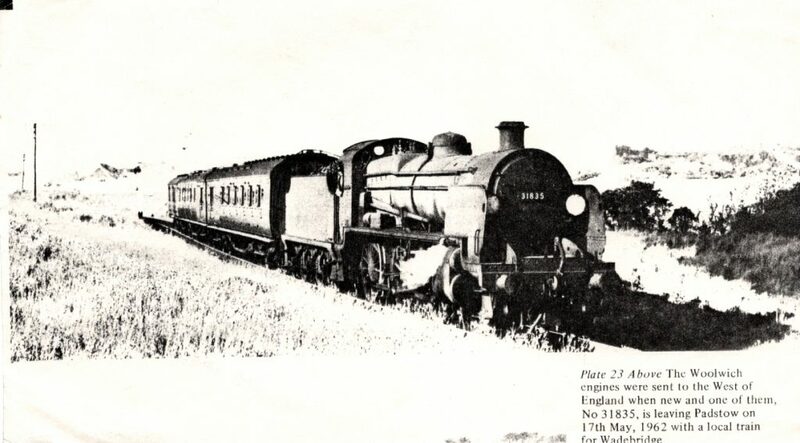 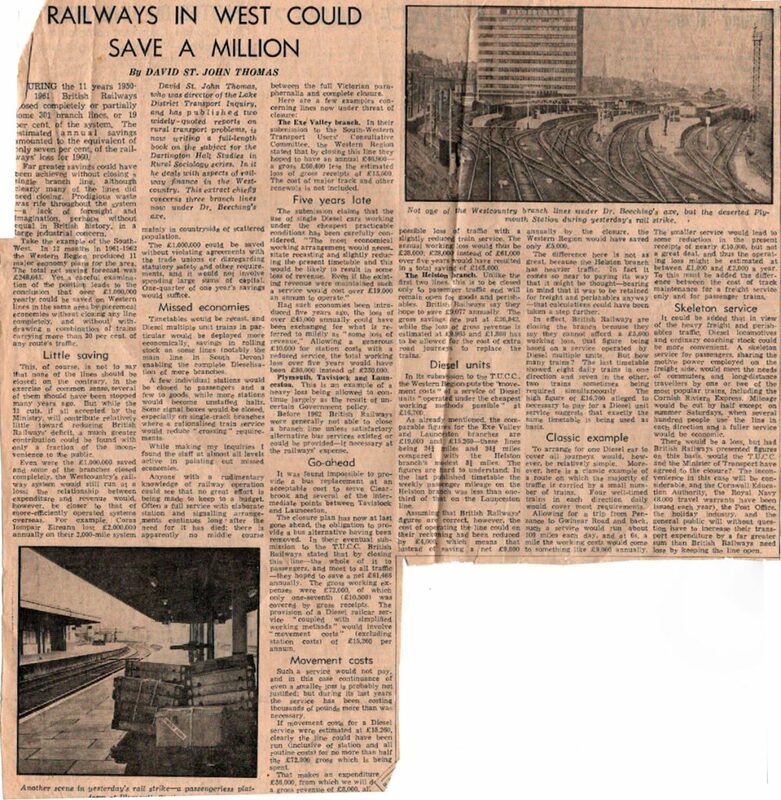 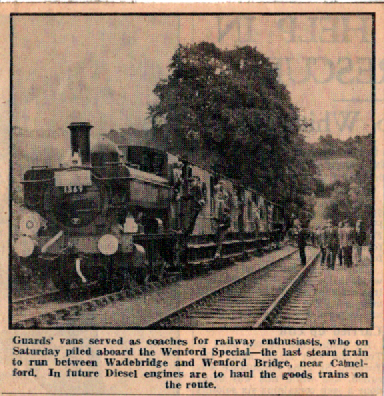 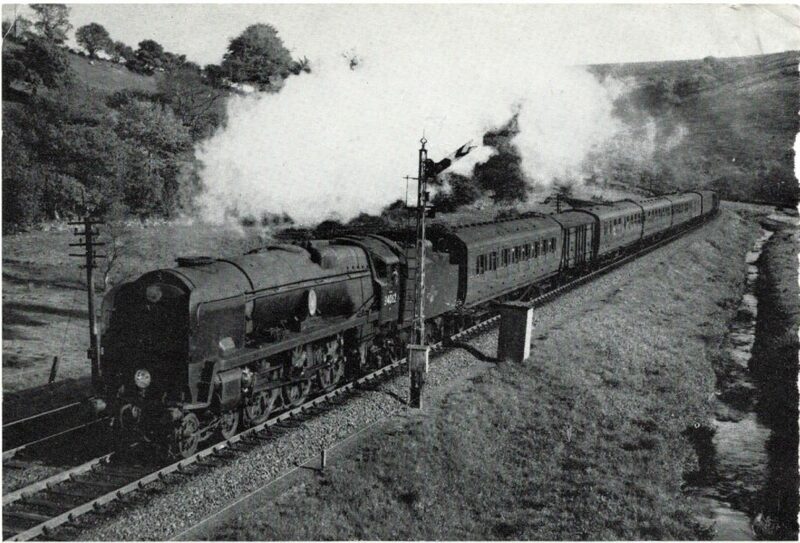 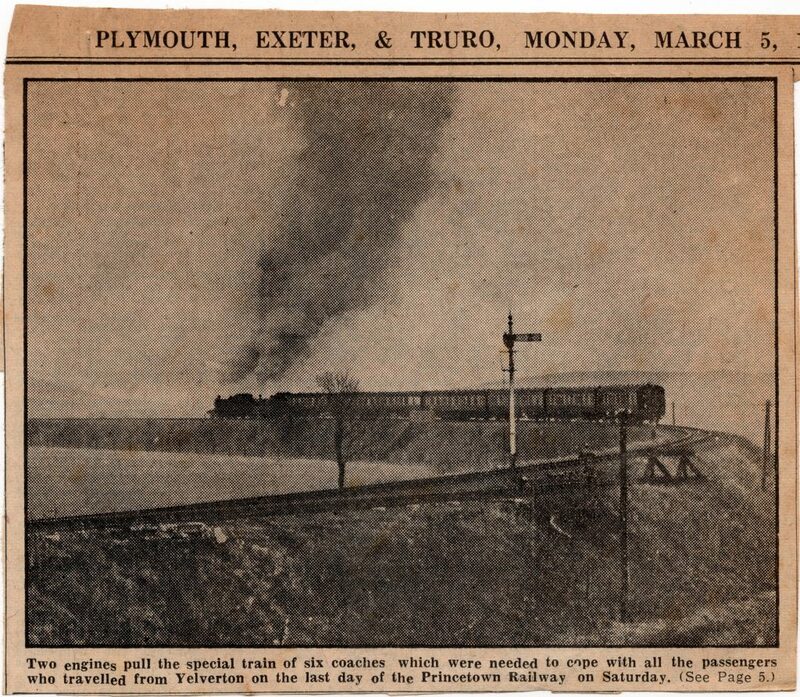 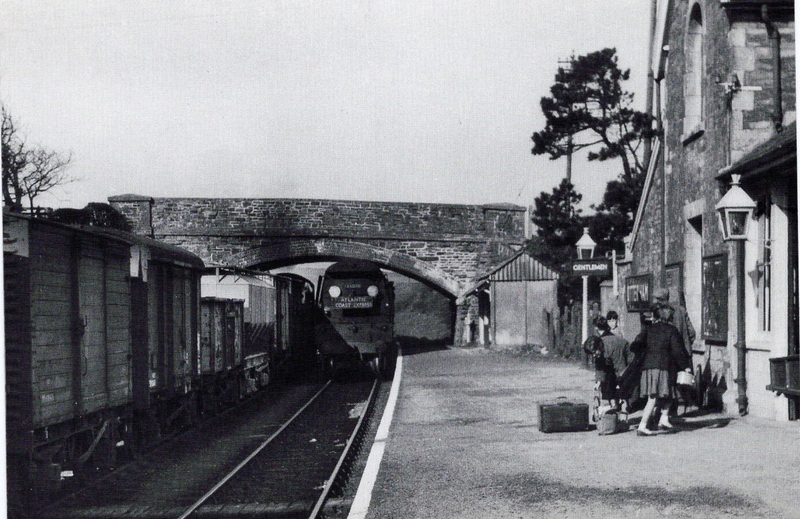 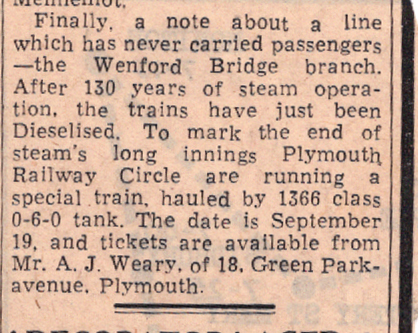 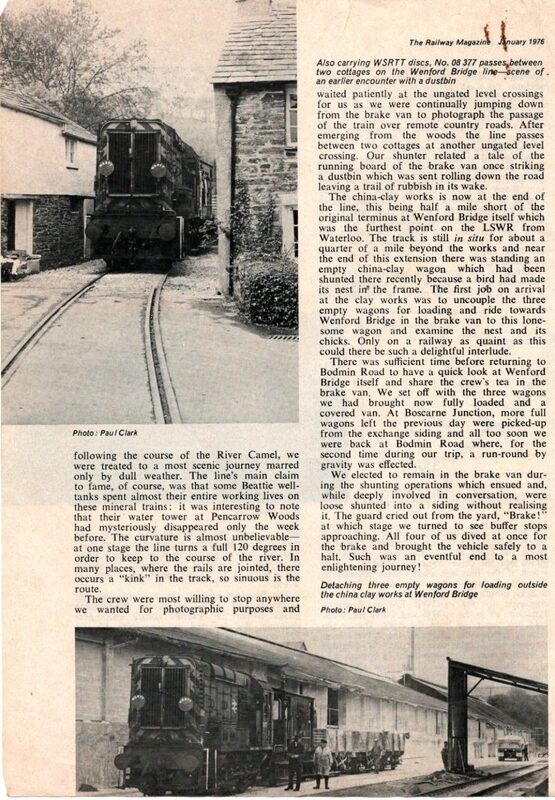 The final train to Princetown 1956 article. 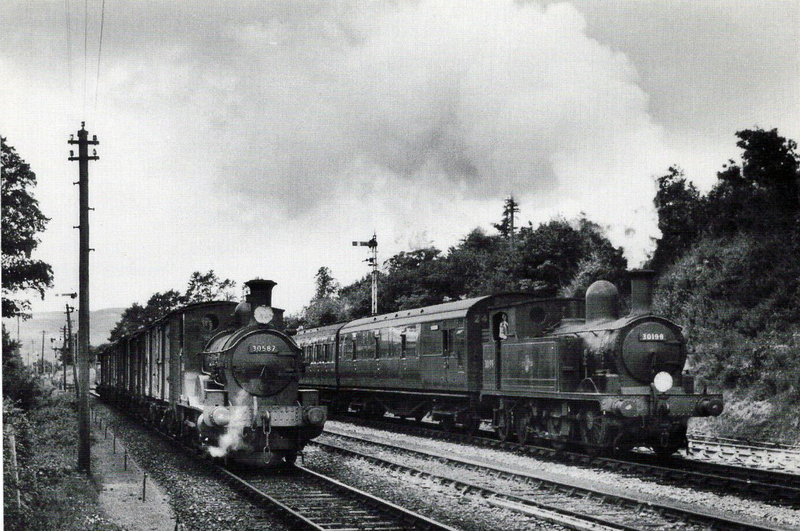 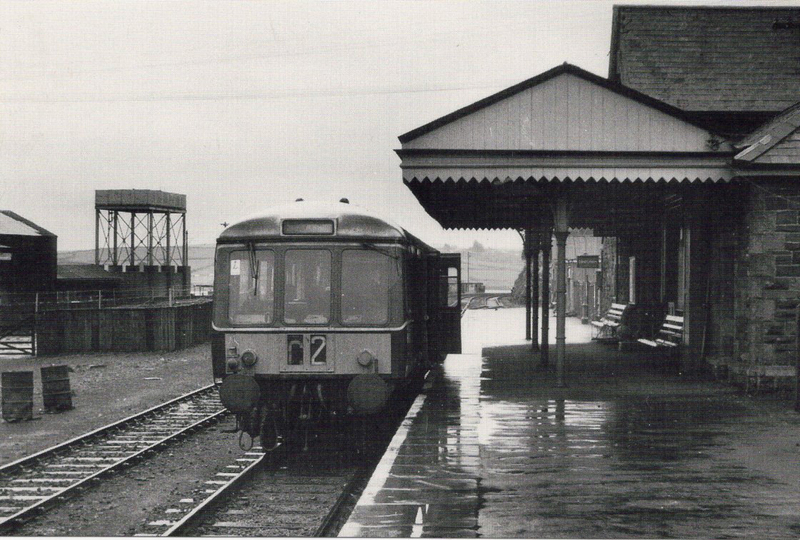 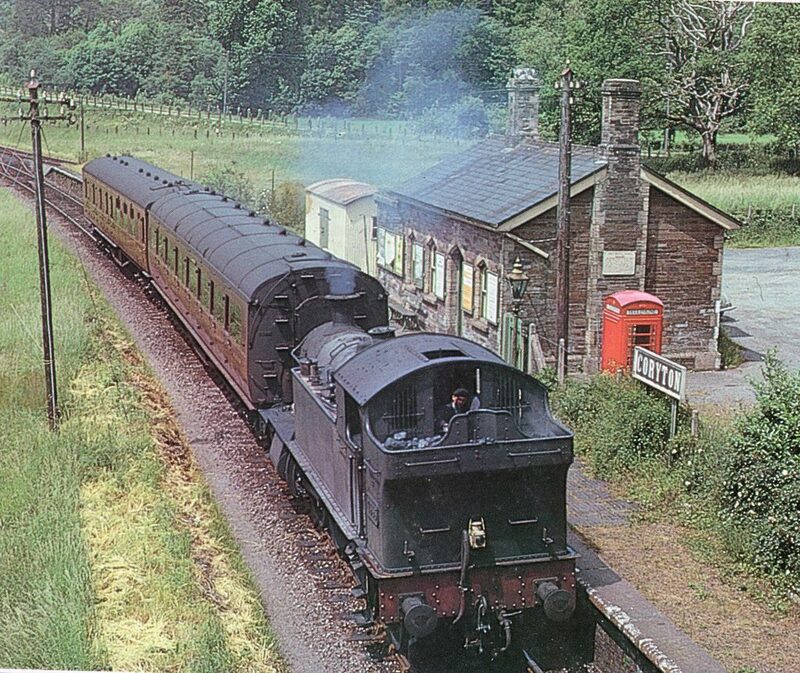 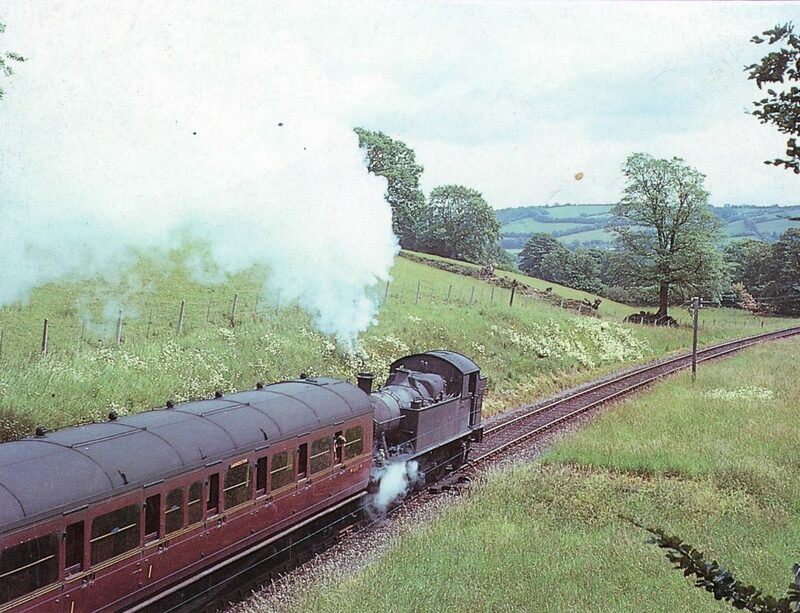 4555 leaving Coryton Station with the two coach 12.40pm Launceston to Plymouth service 23rd June 1962. 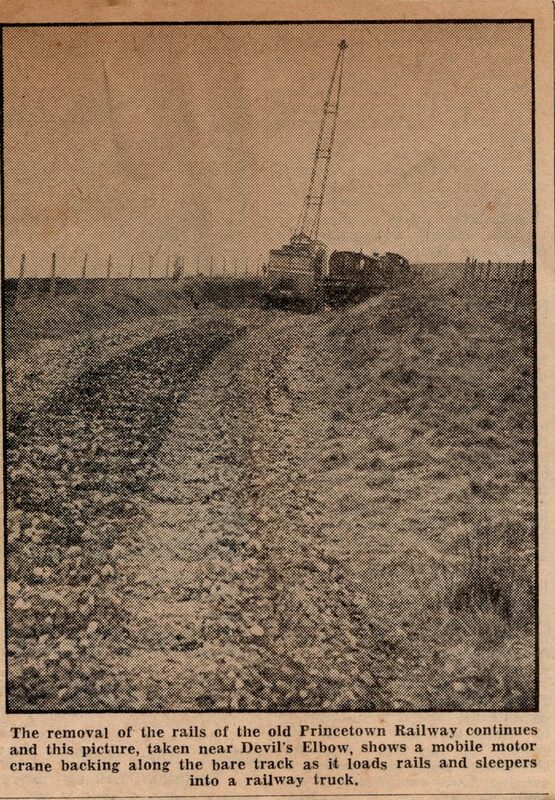 Apparently opposite the telegraph pole on the grassbank -bare patch- only just visible is where two small German bombs fell during the Second World War when they were trying to disrupt the rail traffic. 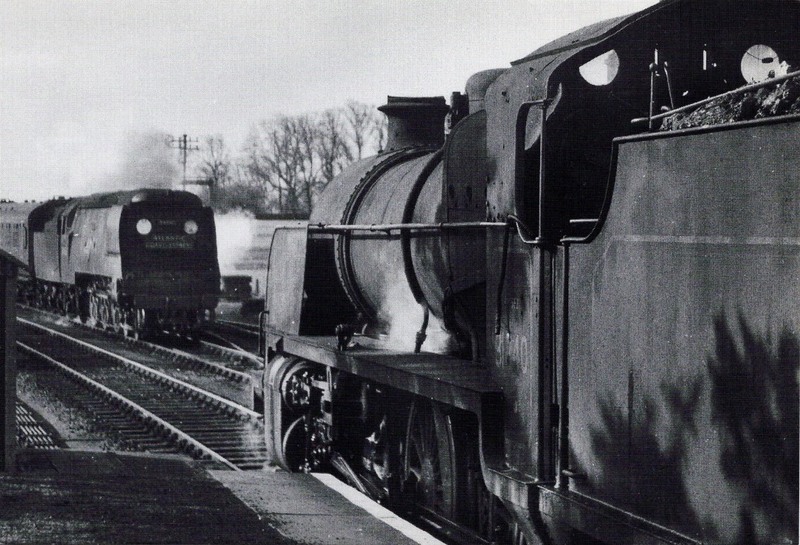 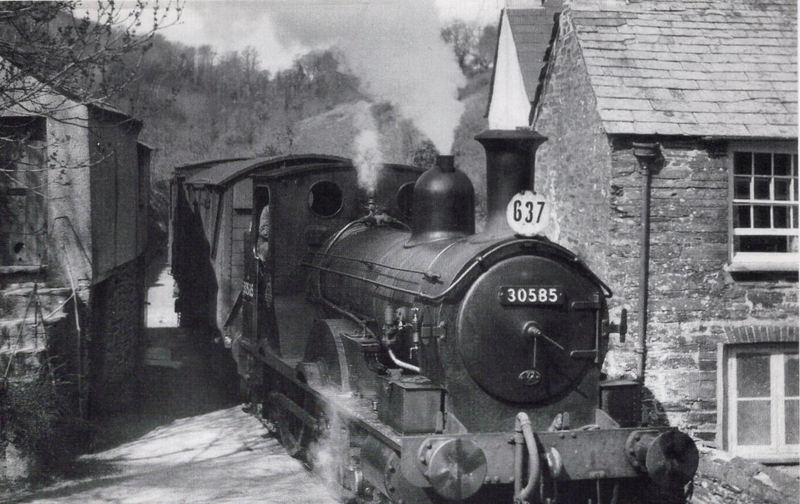 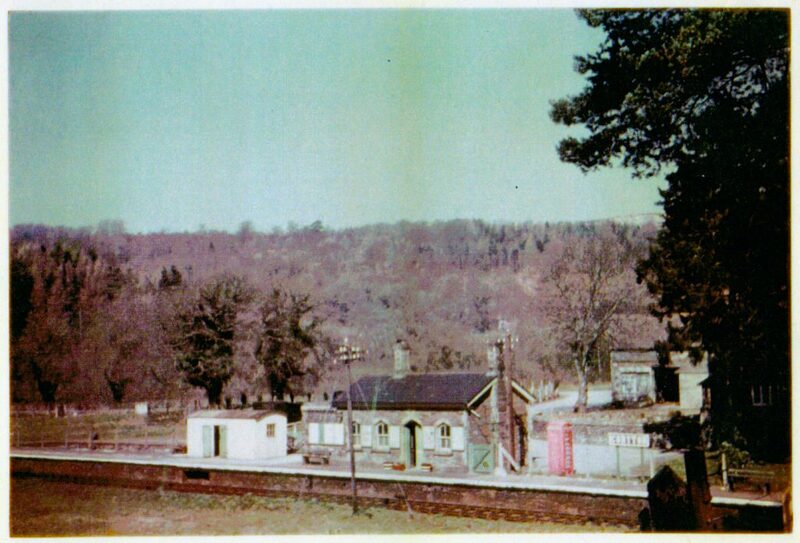 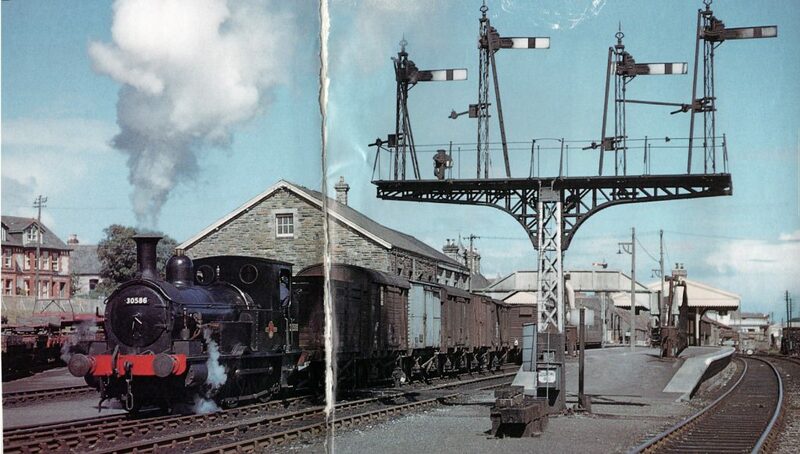 Pannier tank crosses at Dunmere in the 1960’s. 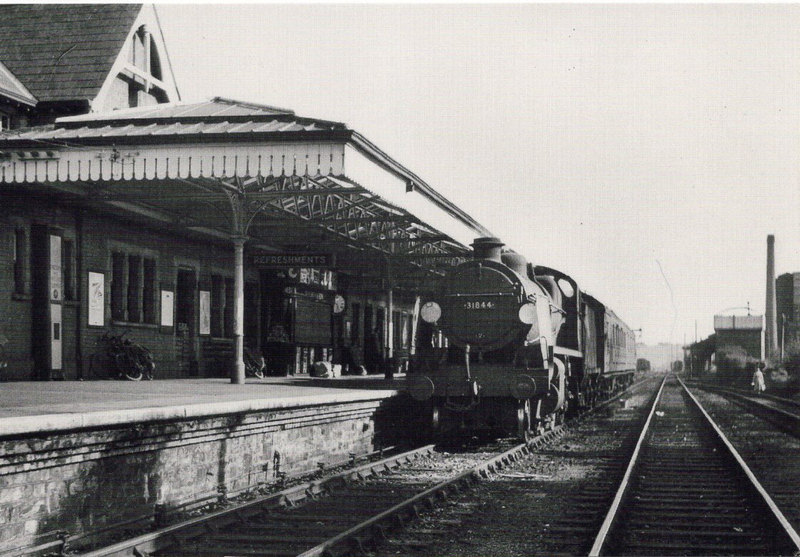 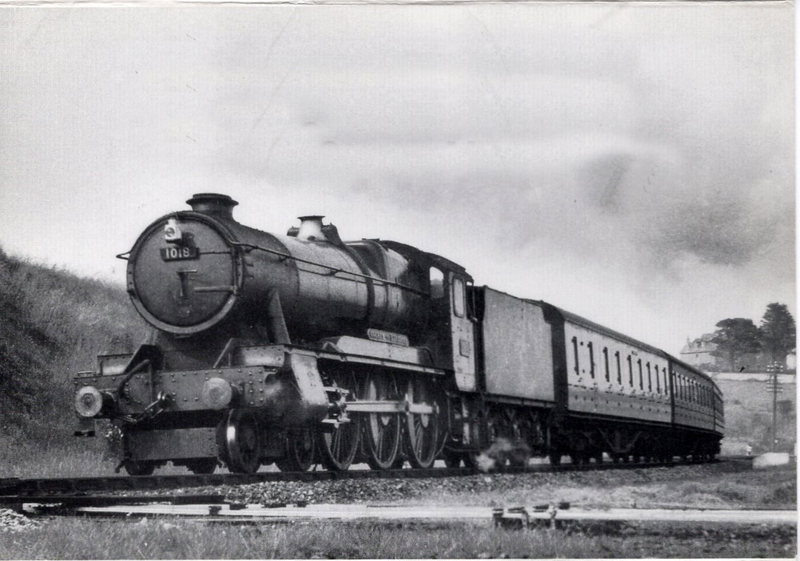 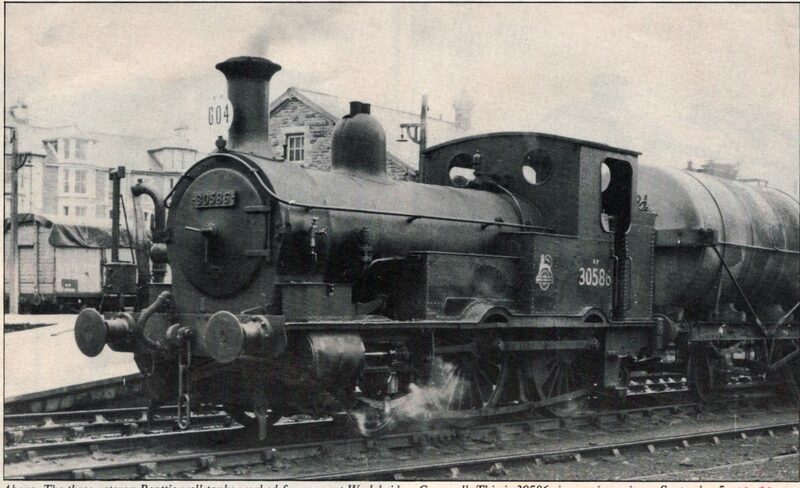 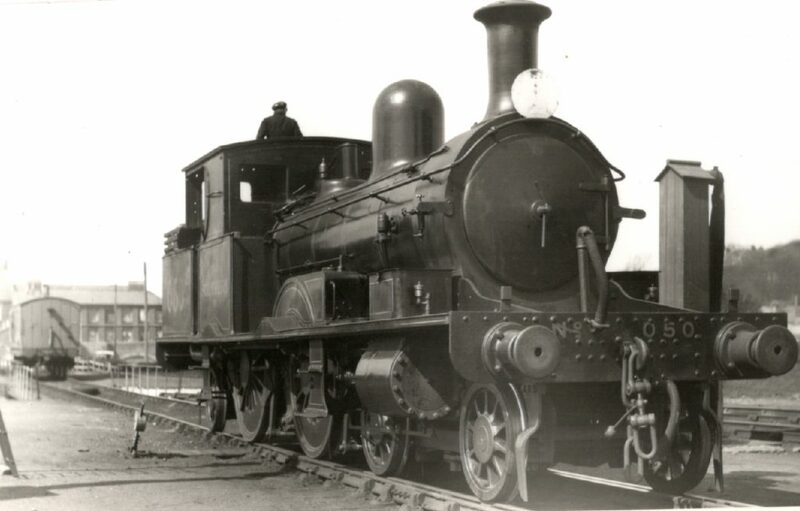 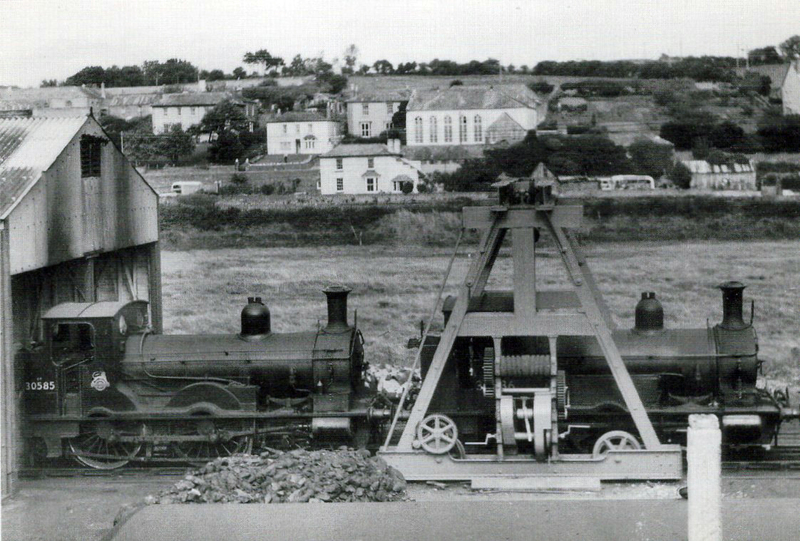 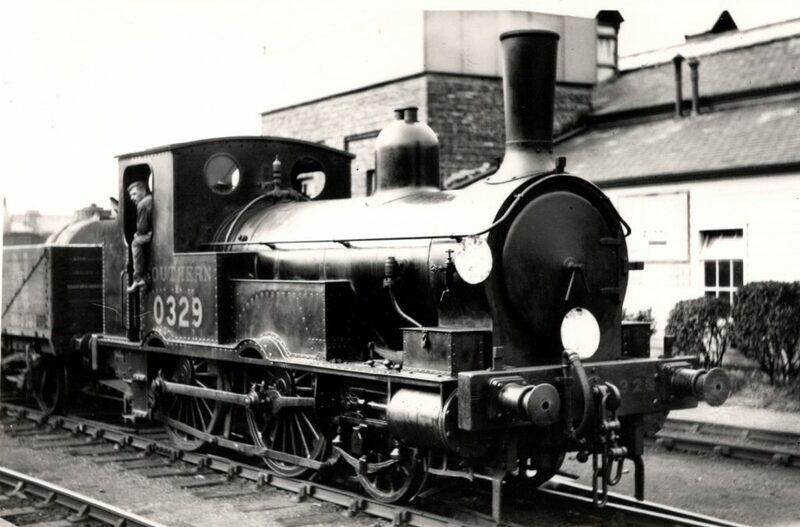 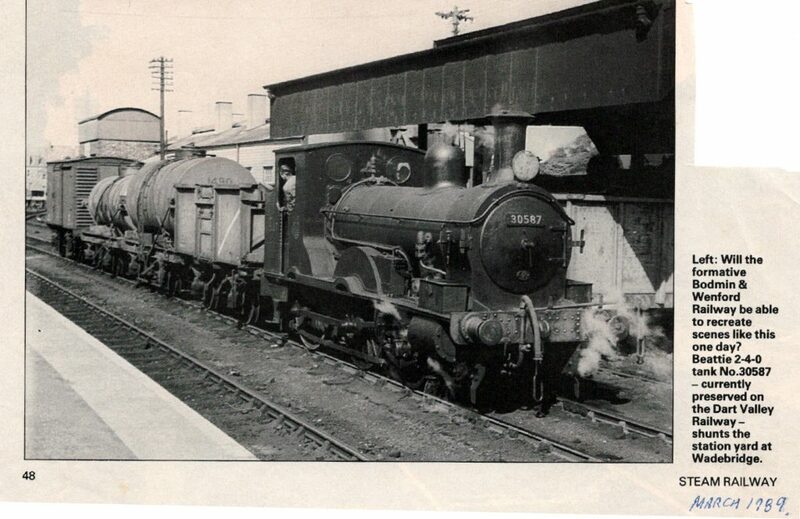 Beattie well-tank 30586 on September 5th, 1956 at Wadebridge. 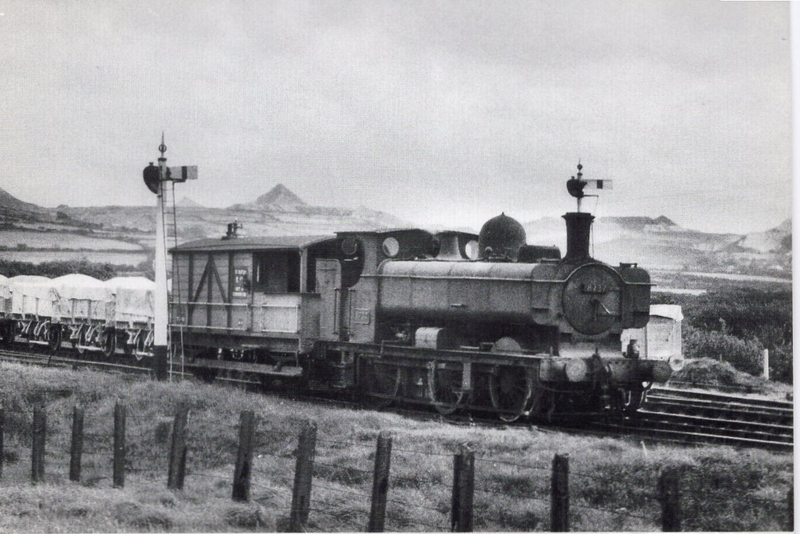 Unknown location of a T9 loco. 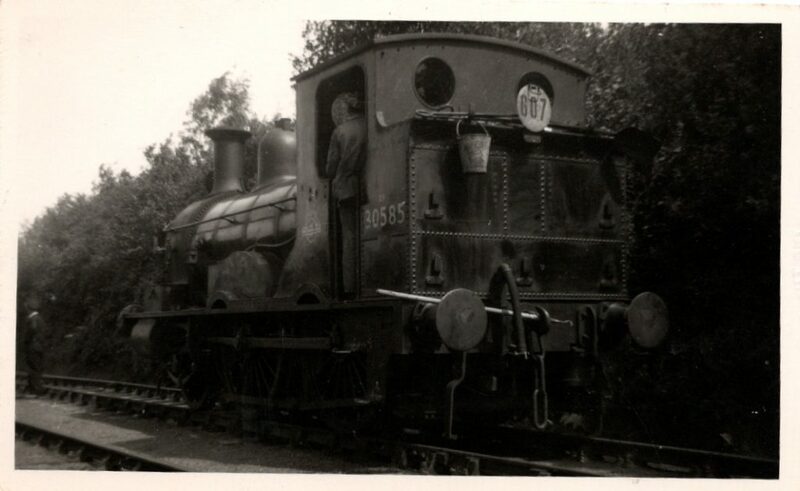 Another unknown location of 0329. 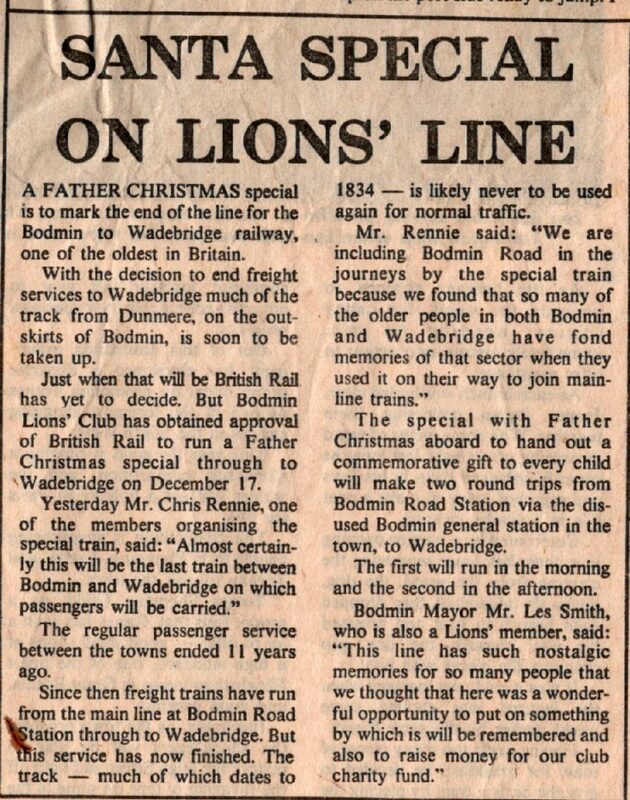 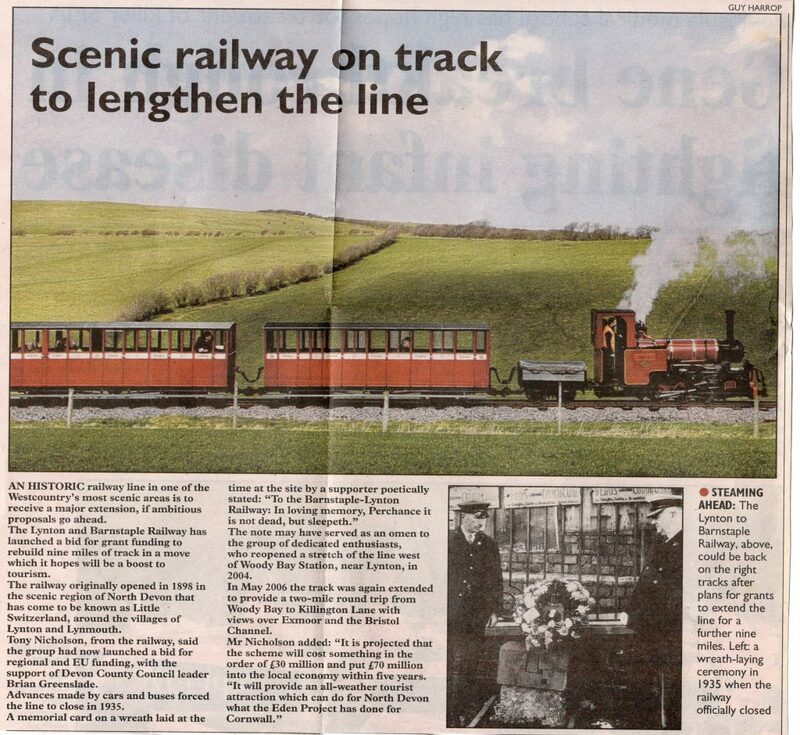 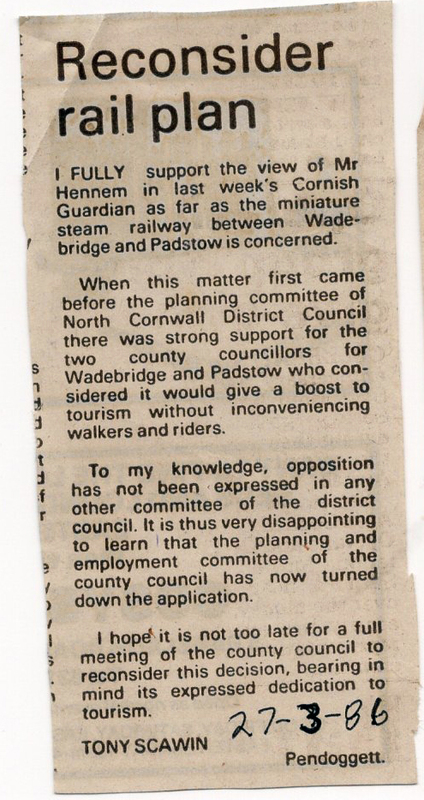 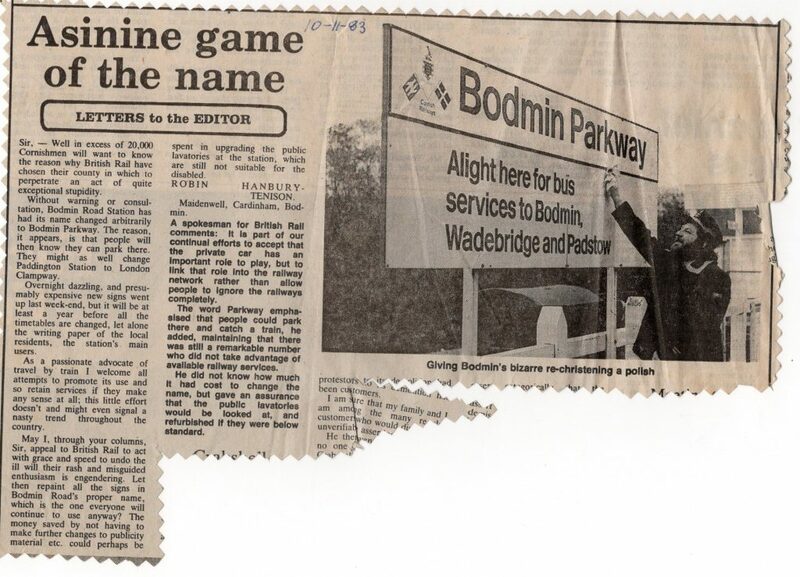 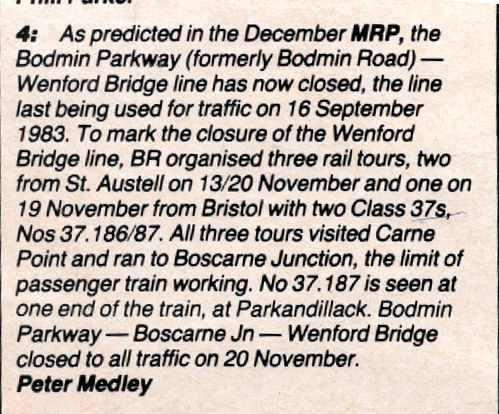 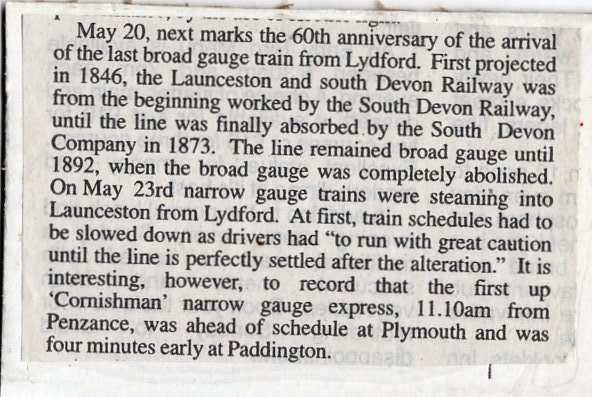 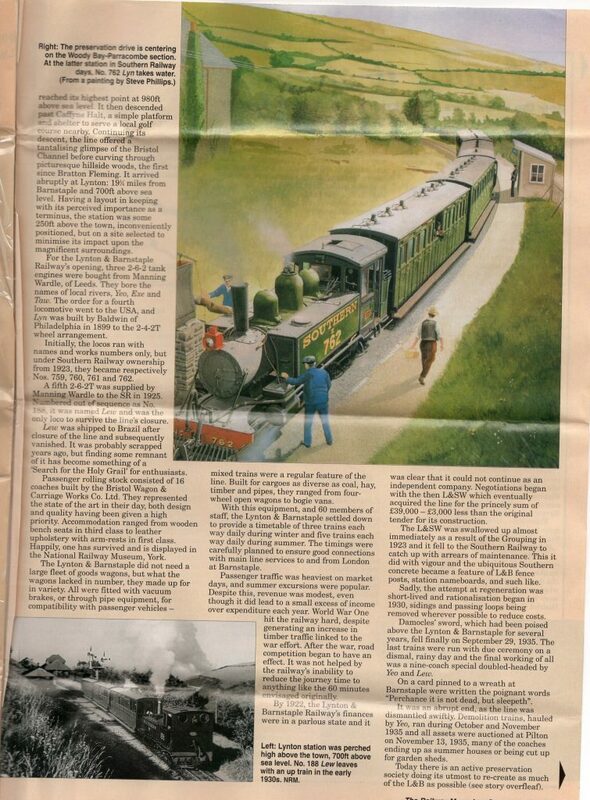 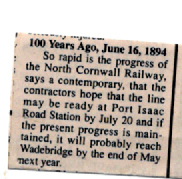 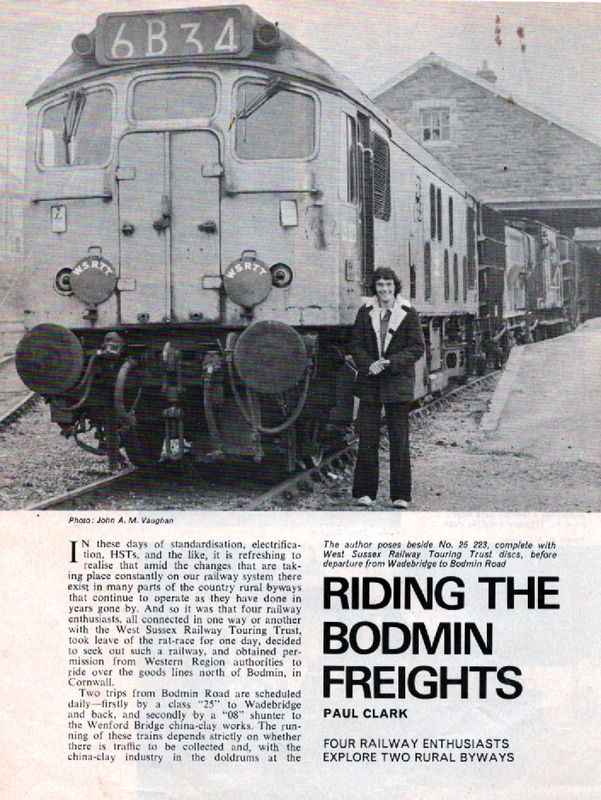 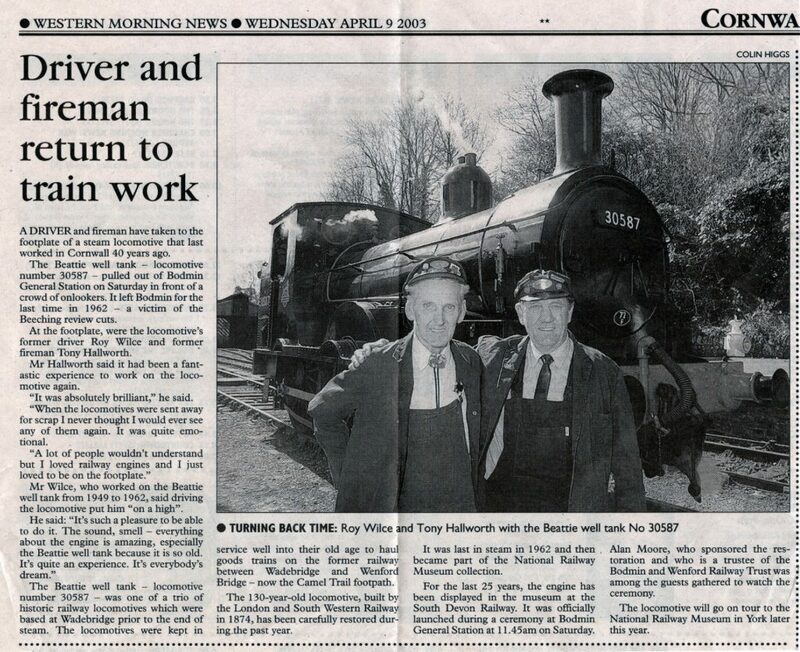 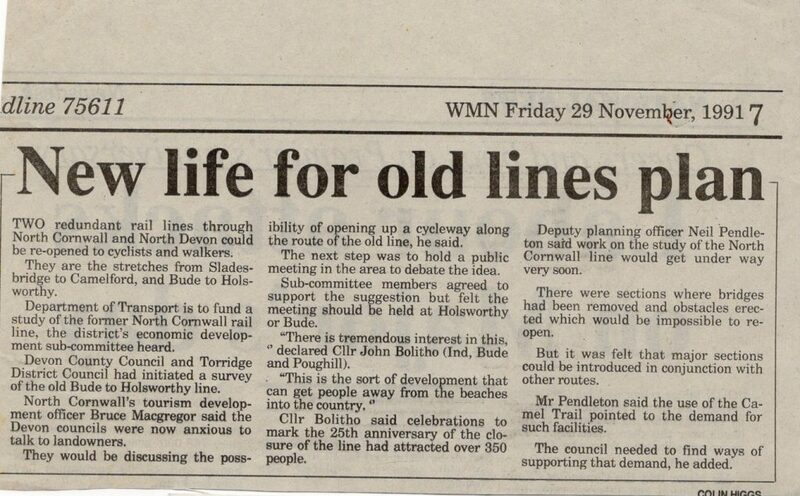 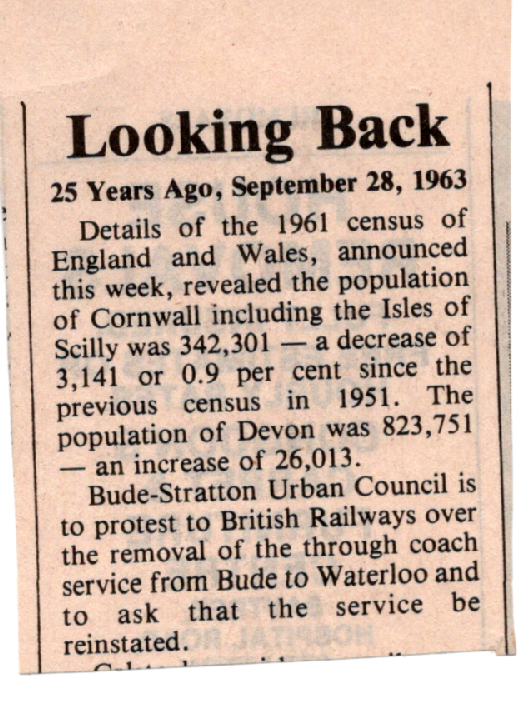 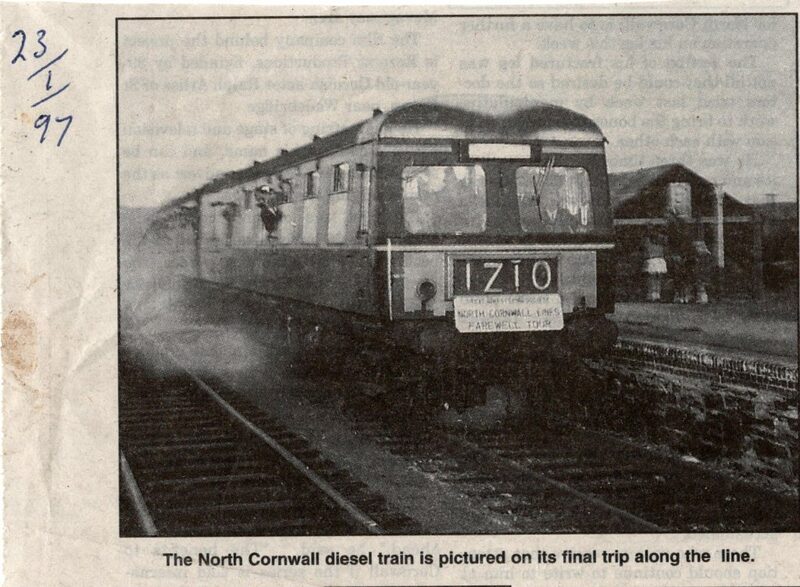 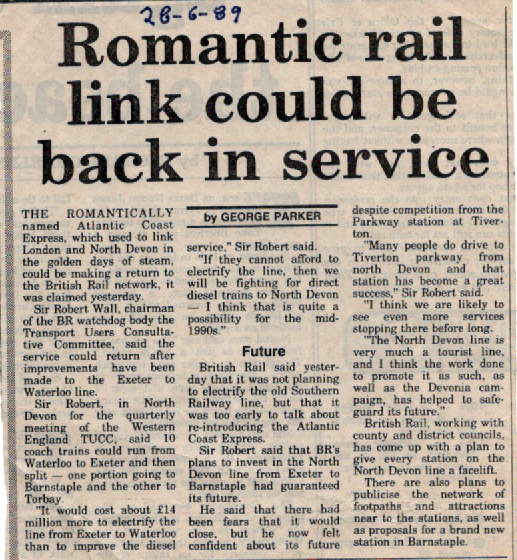 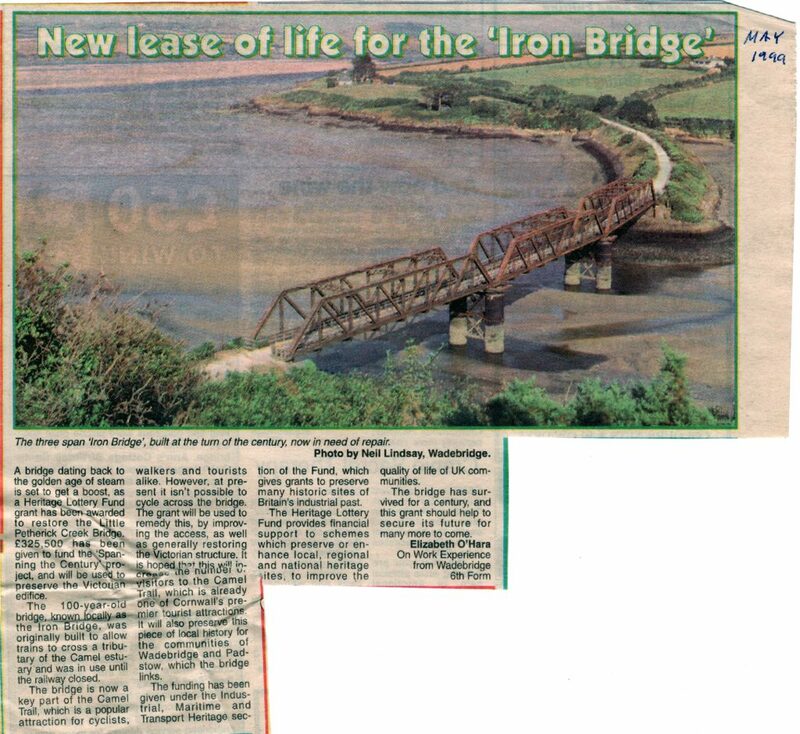 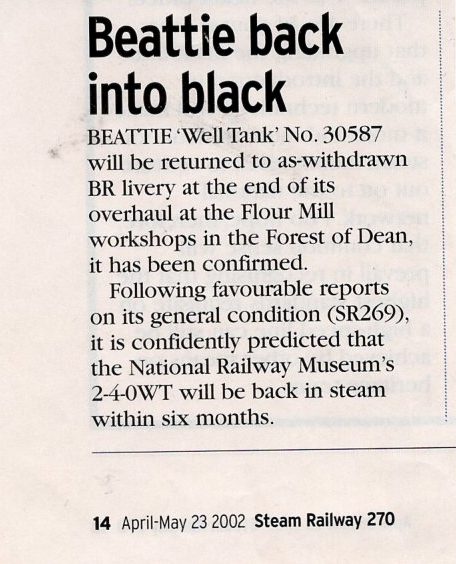 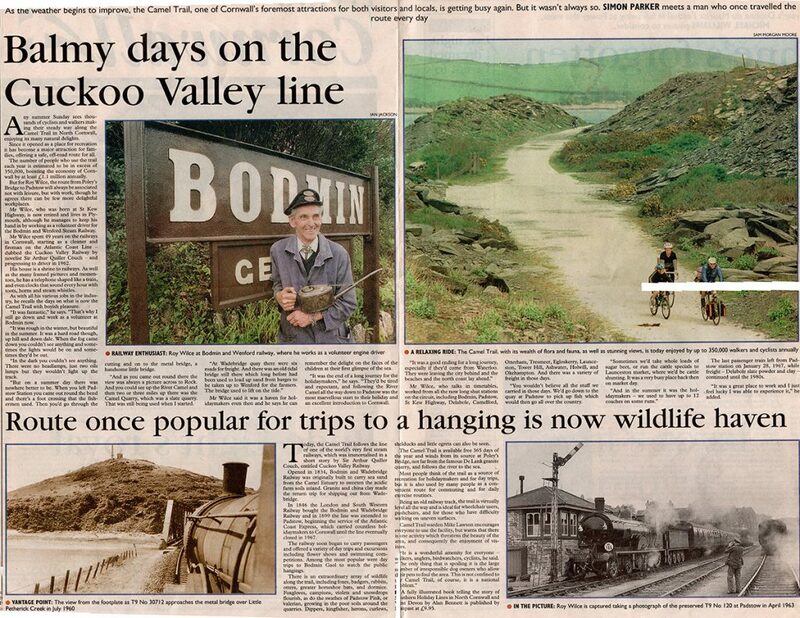 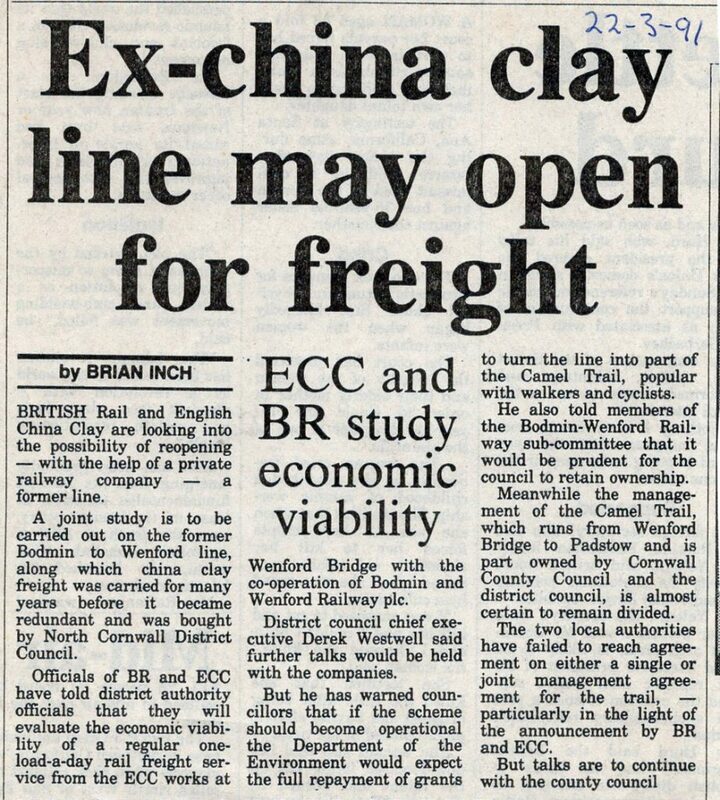 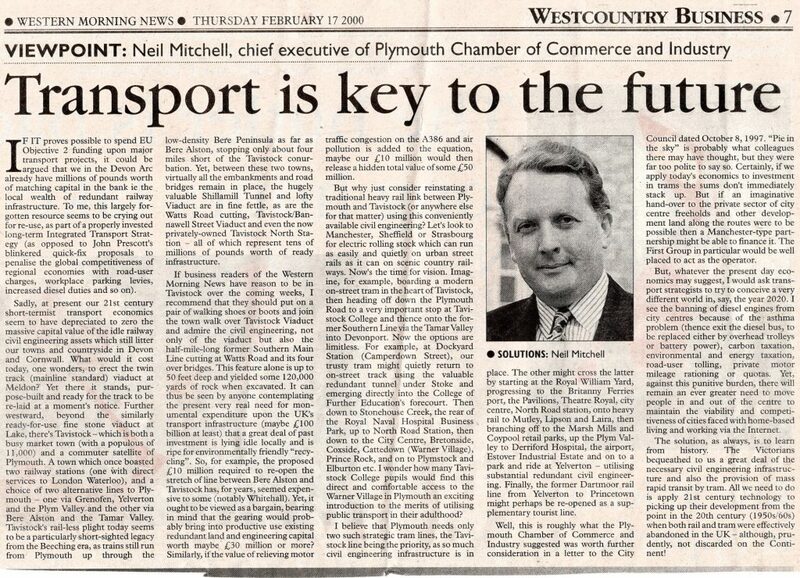 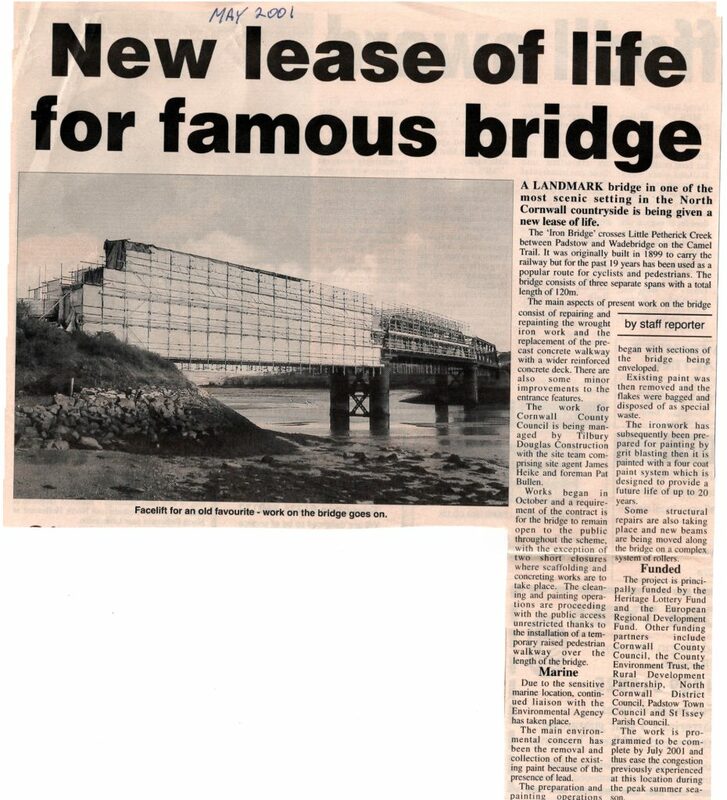 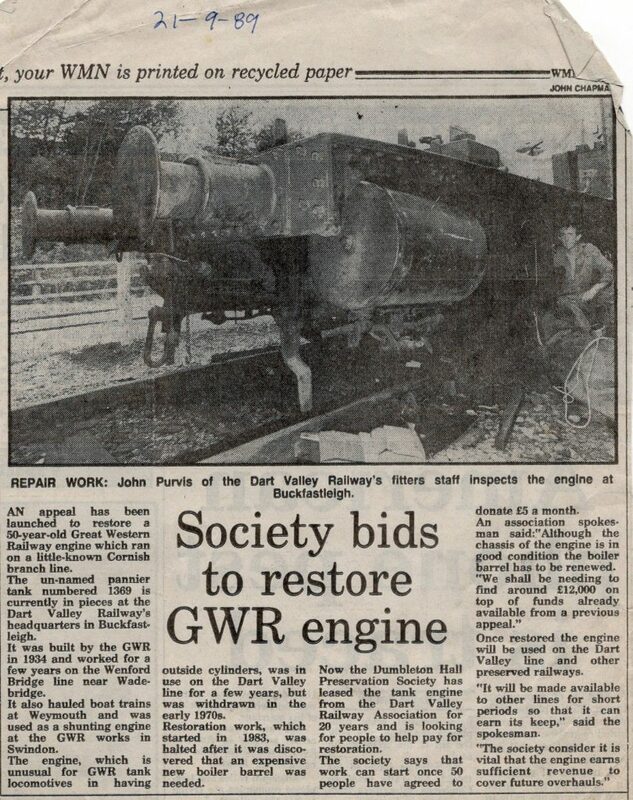 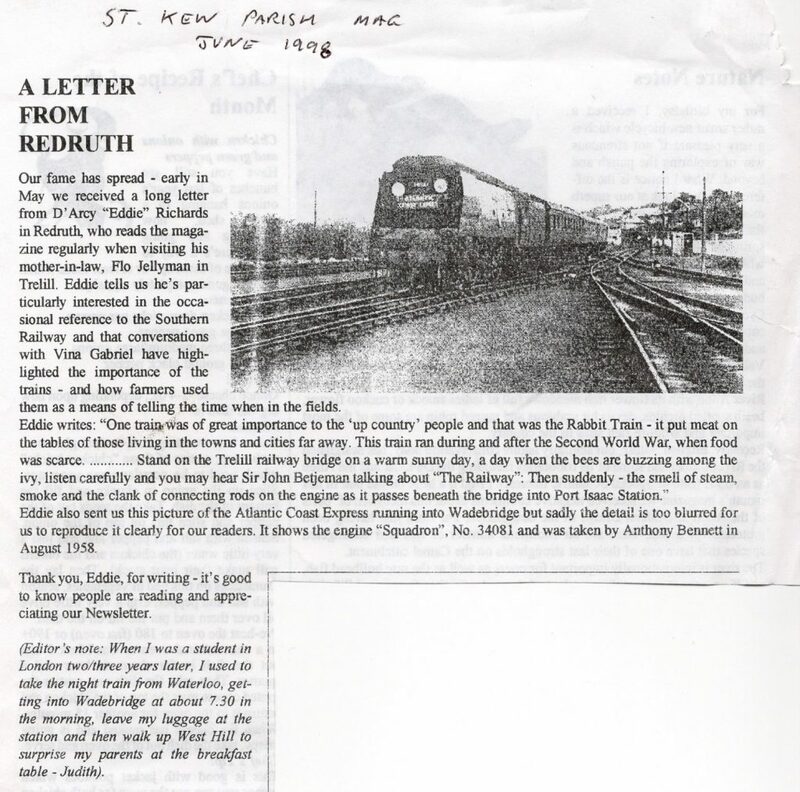 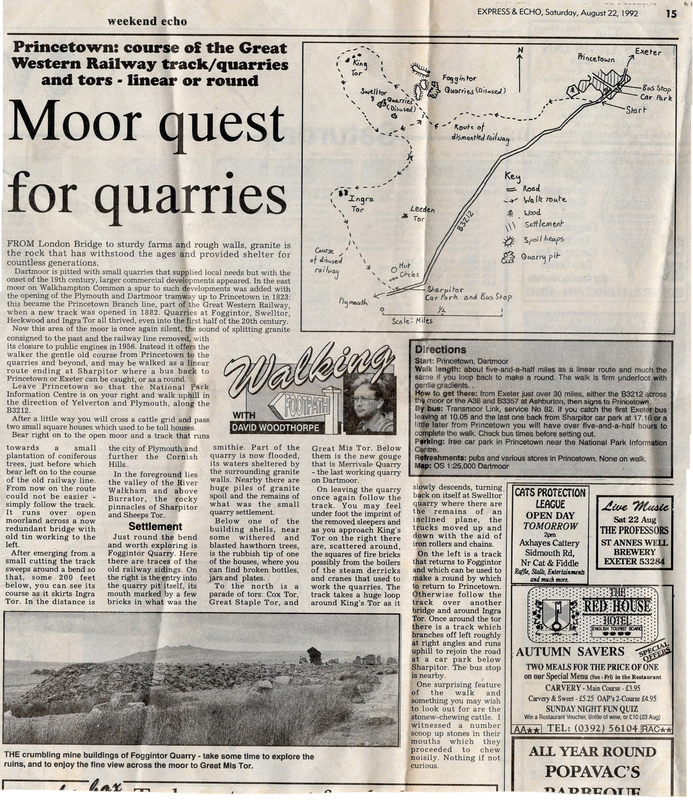 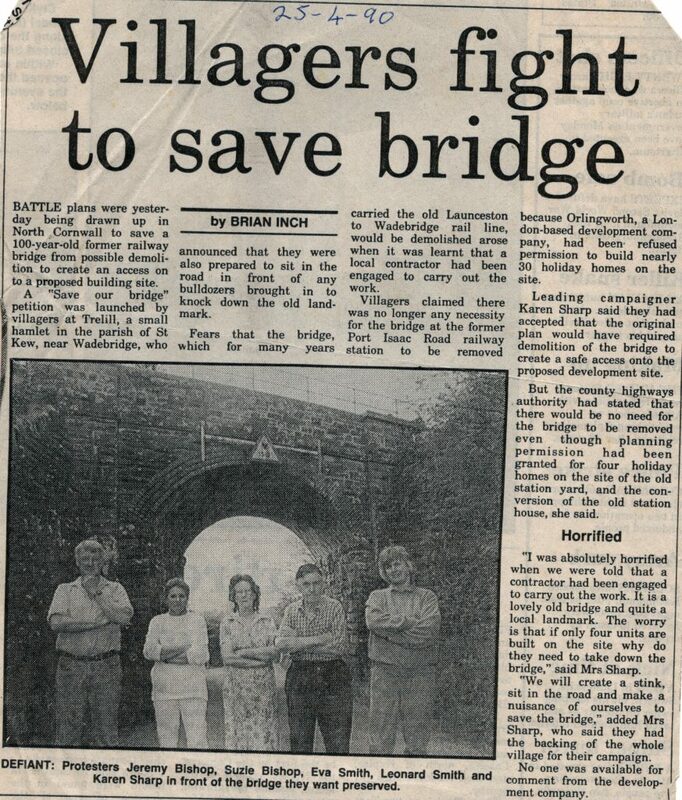 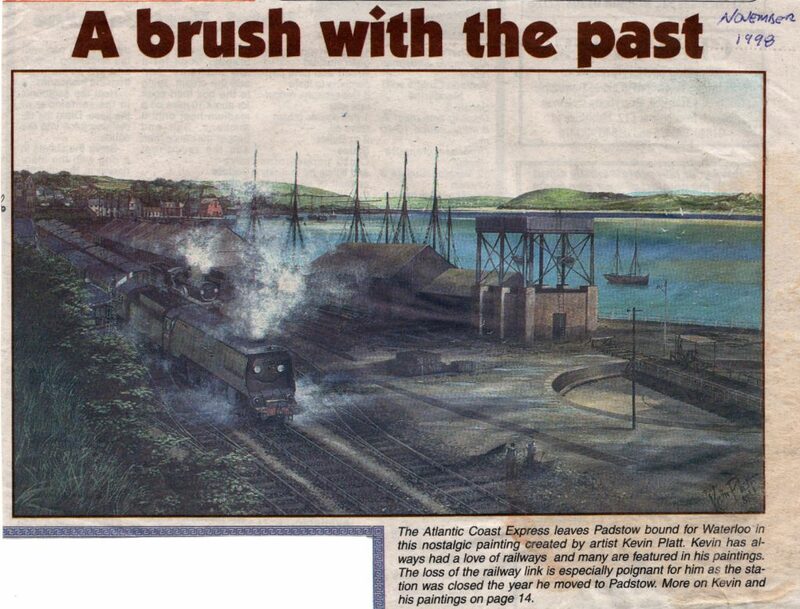 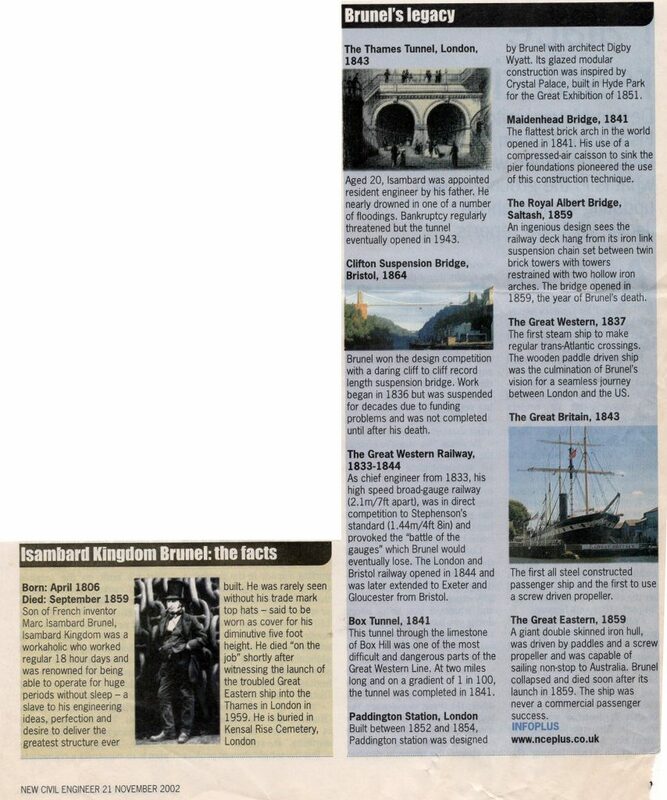 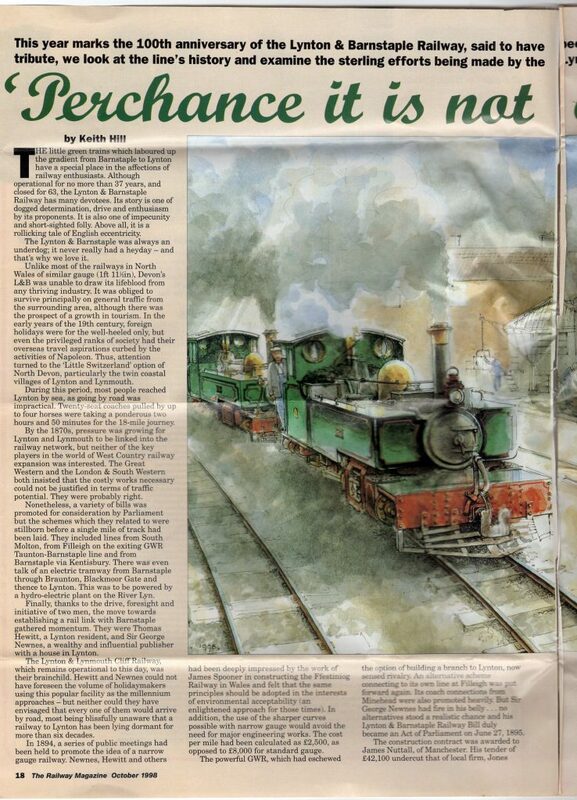 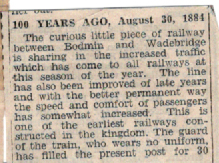 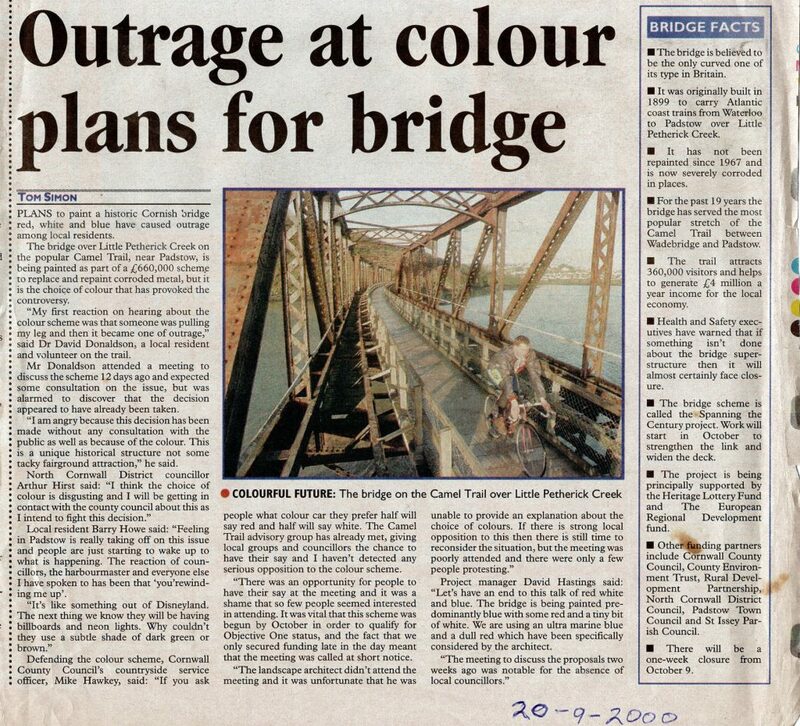 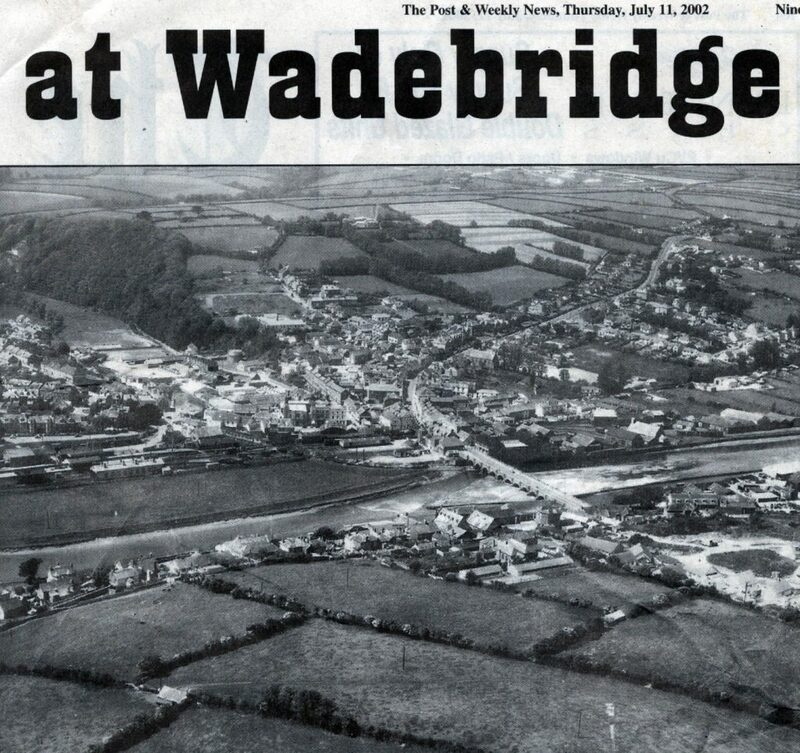 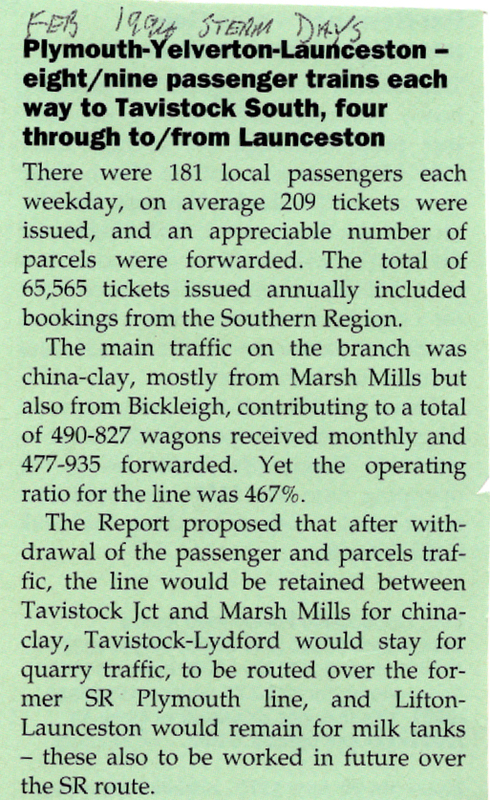 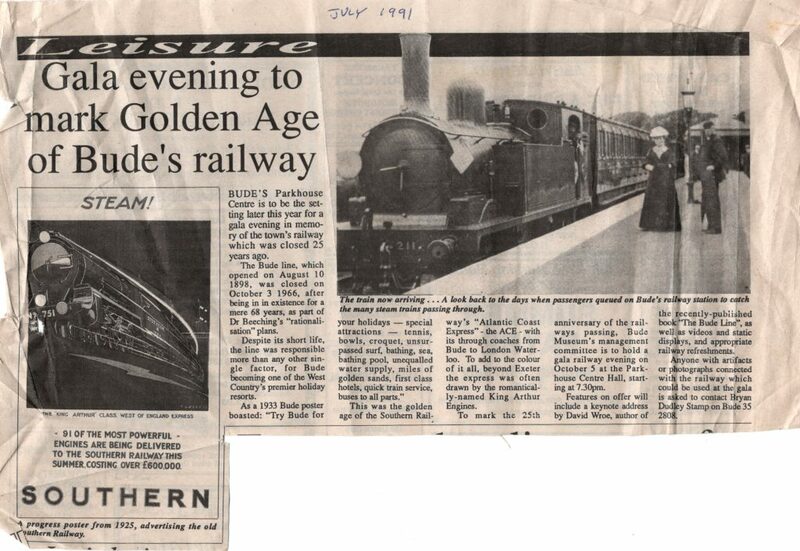 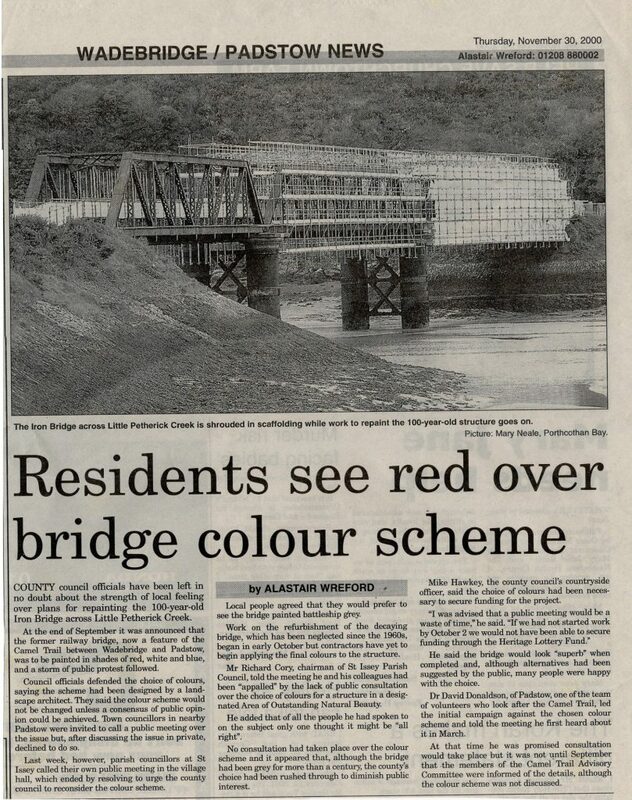 1999 article on the re-opening of the Bodmin to Wadebridge route. 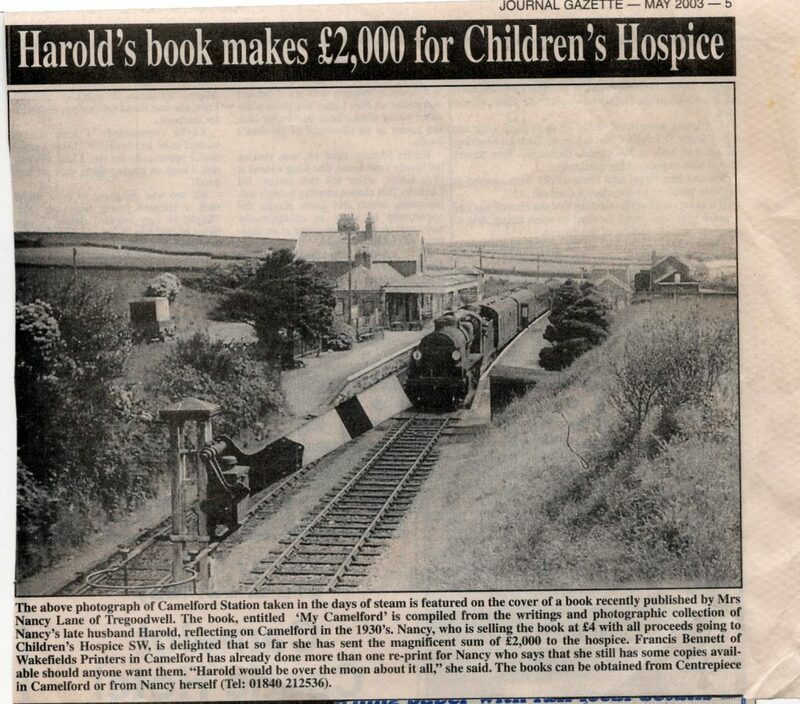 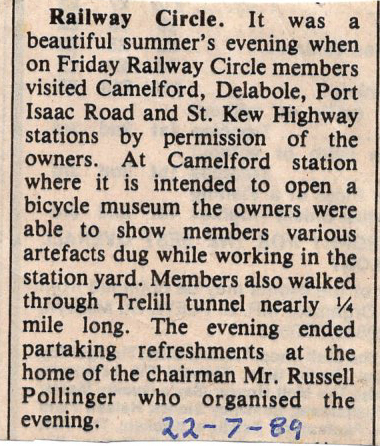 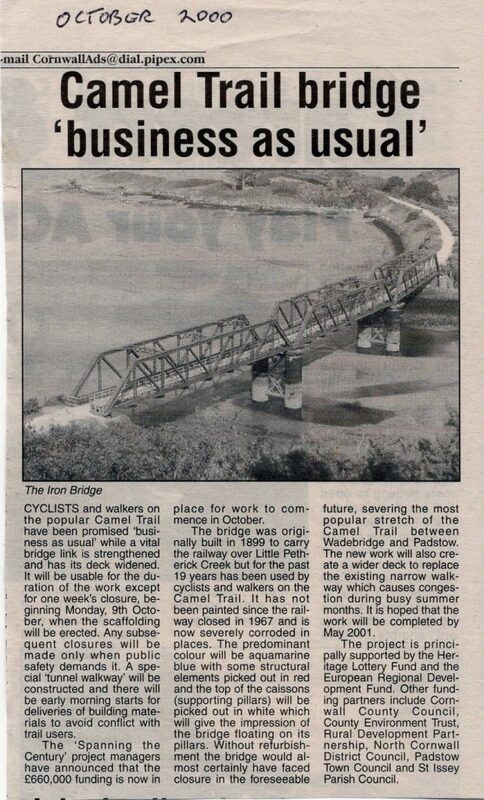 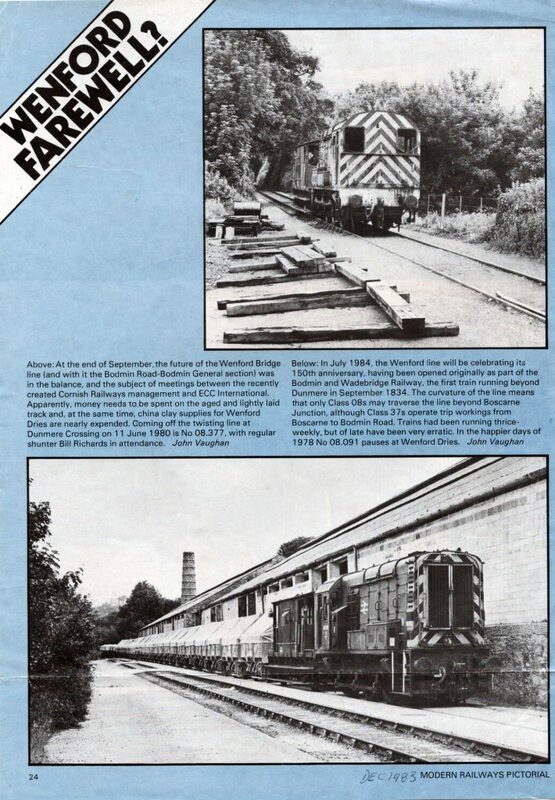 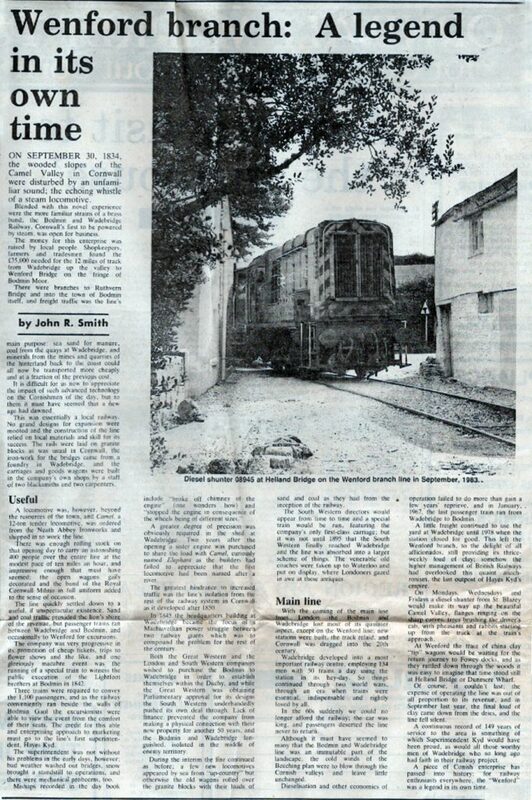 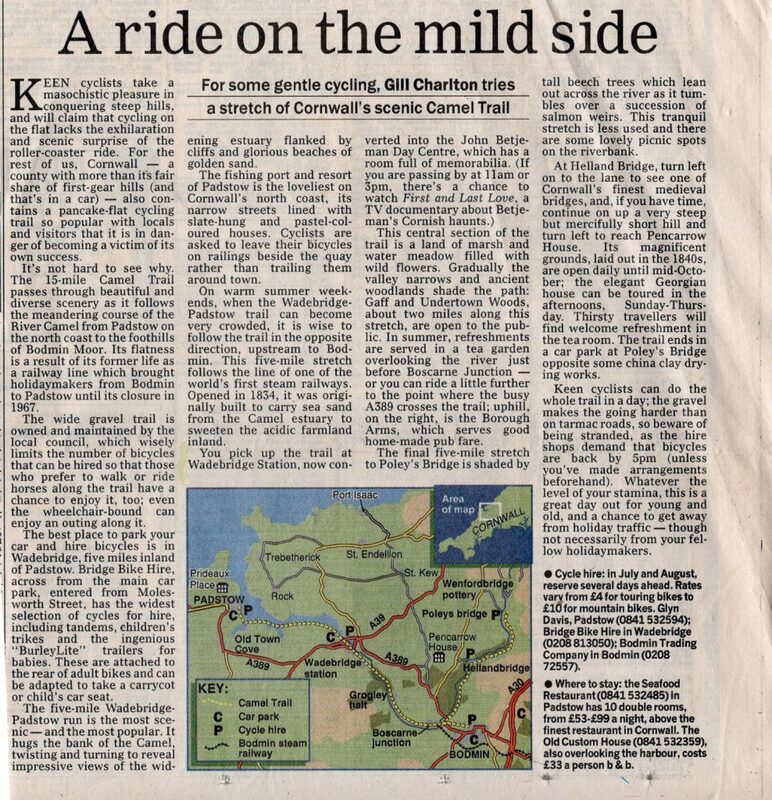 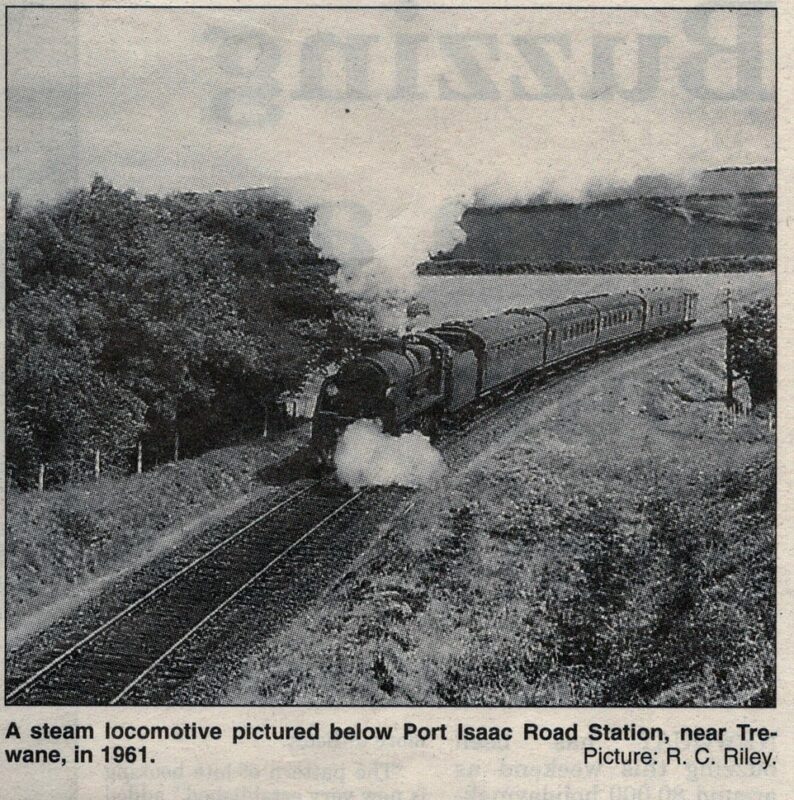 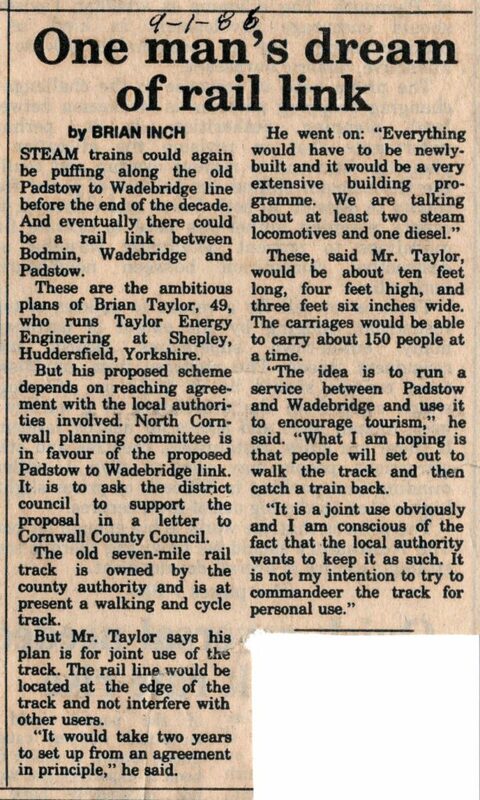 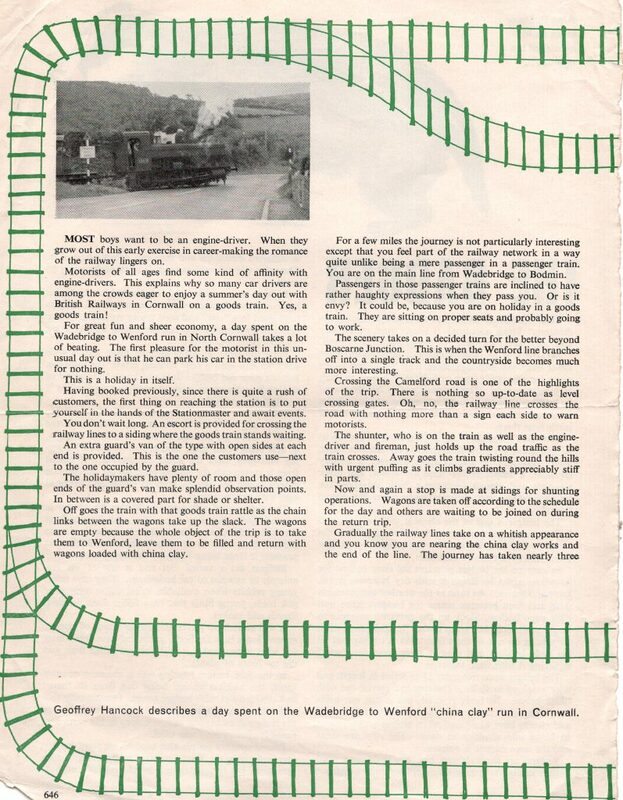 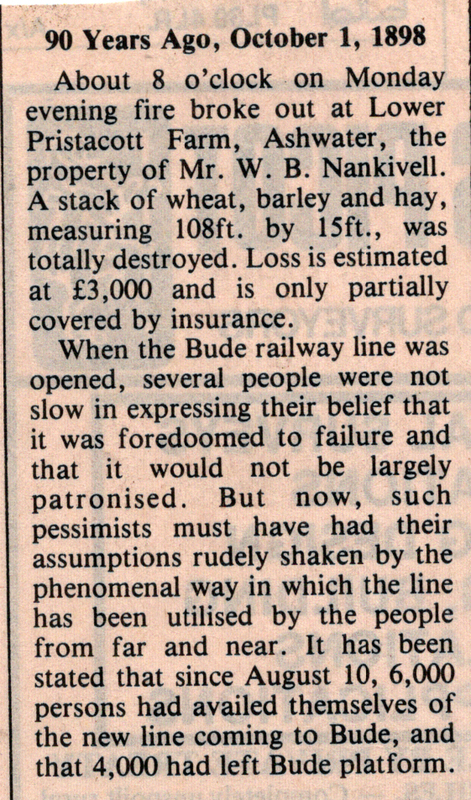 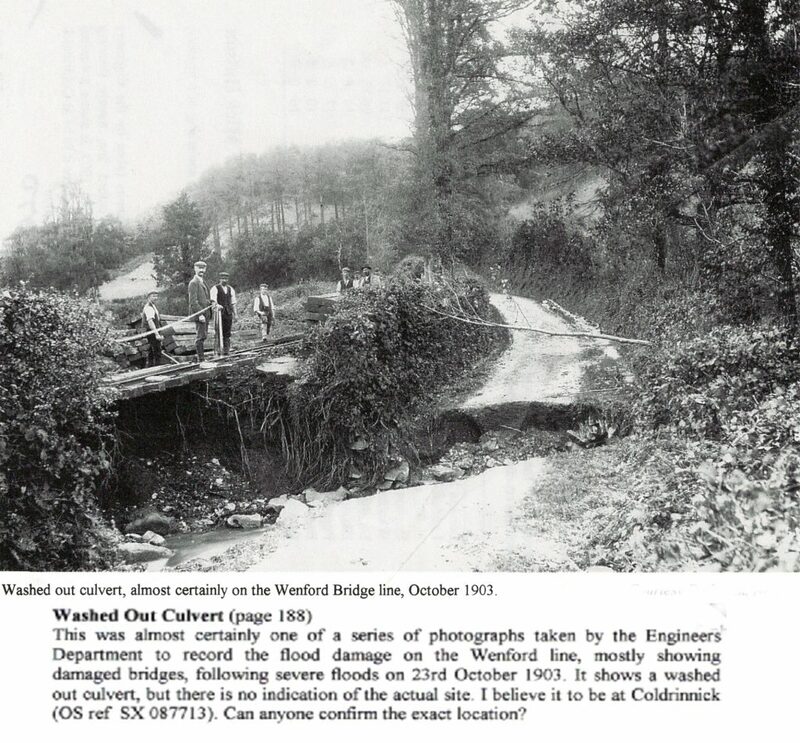 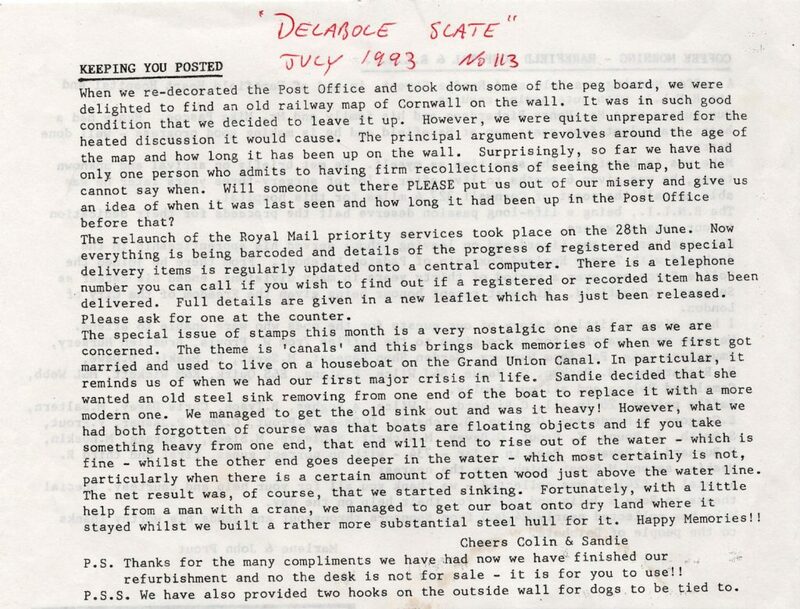 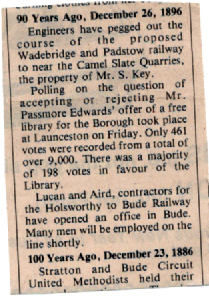 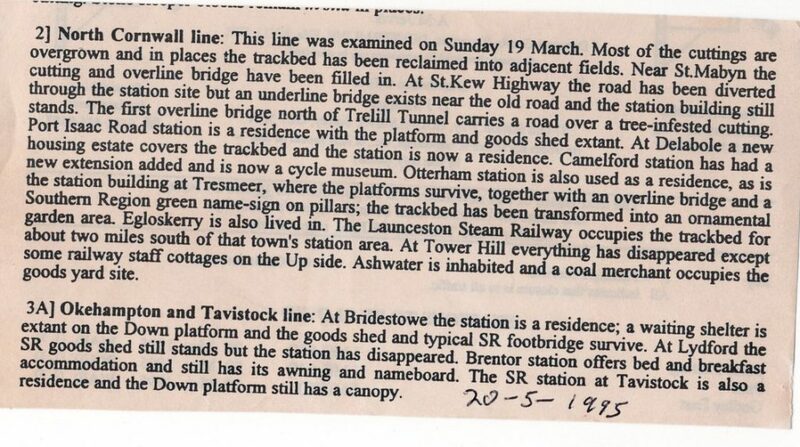 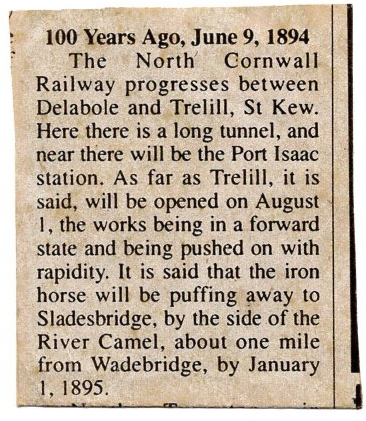 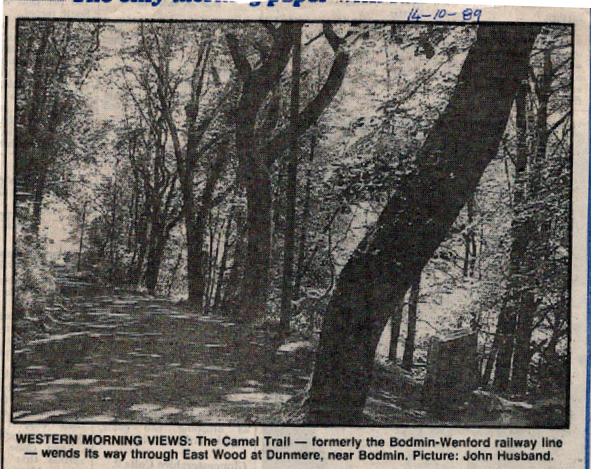 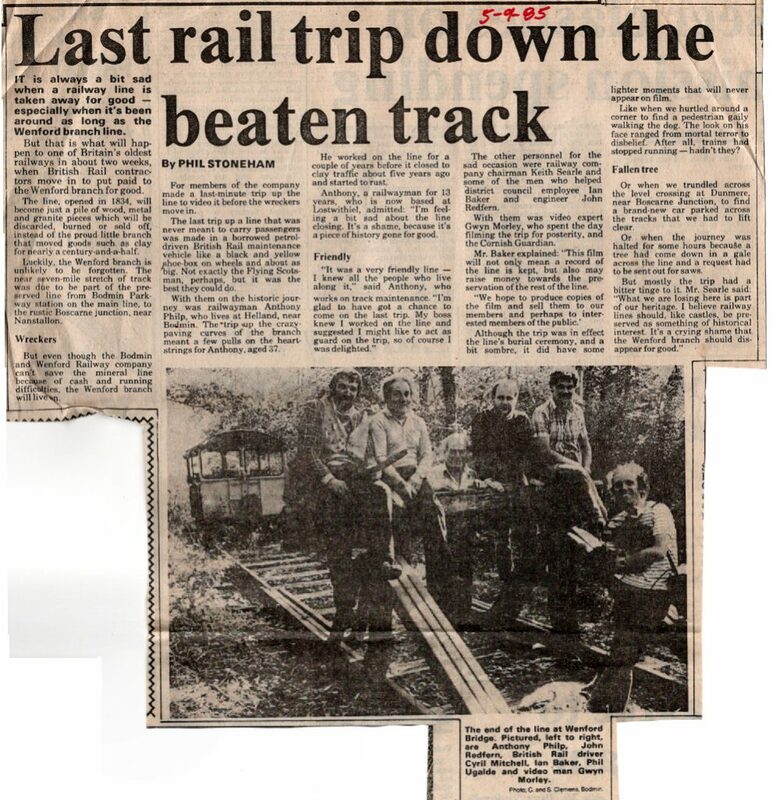 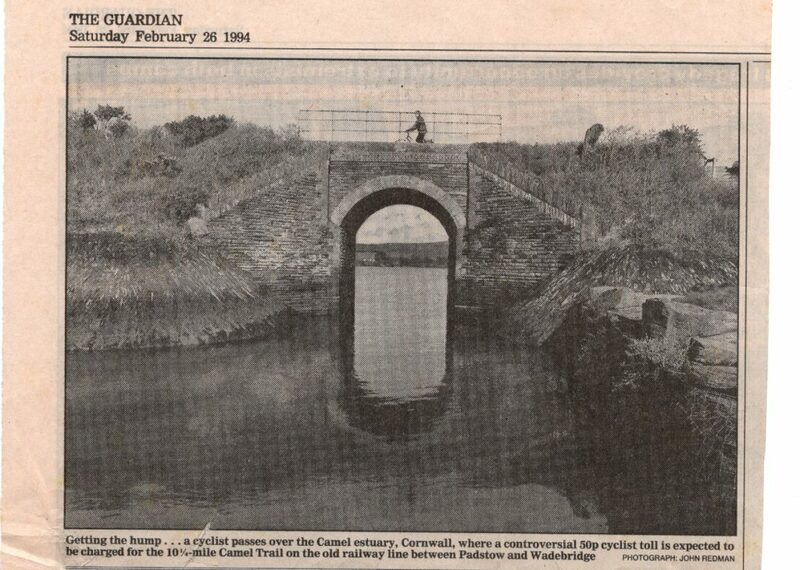 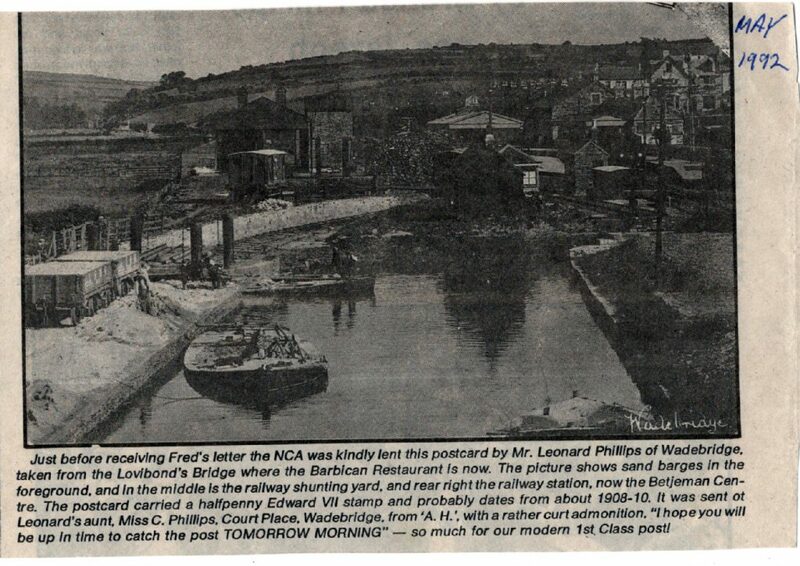 1989 article on running a road along the old railway to Padstow. 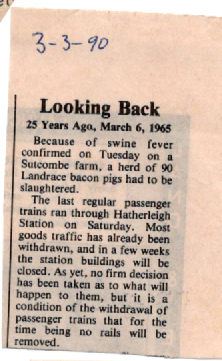 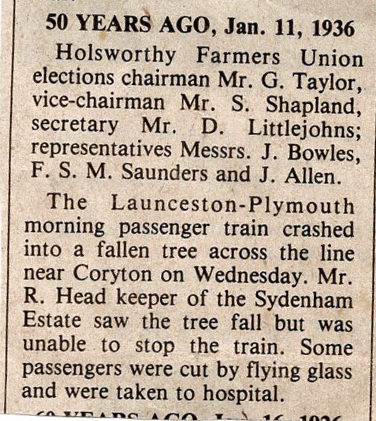 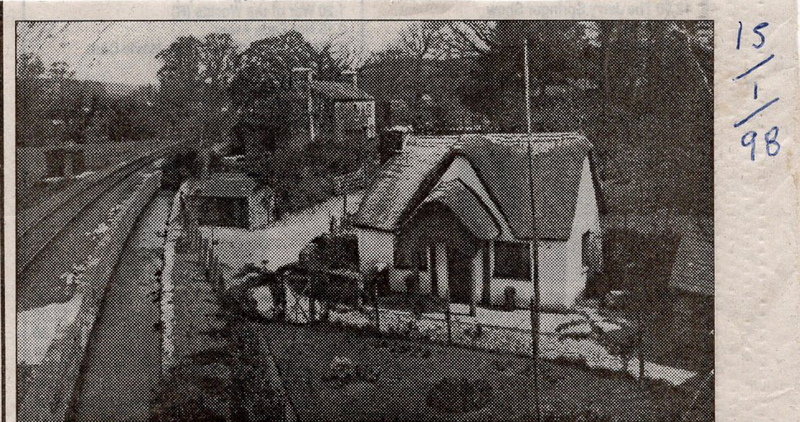 1950 article on a farm move by rail. 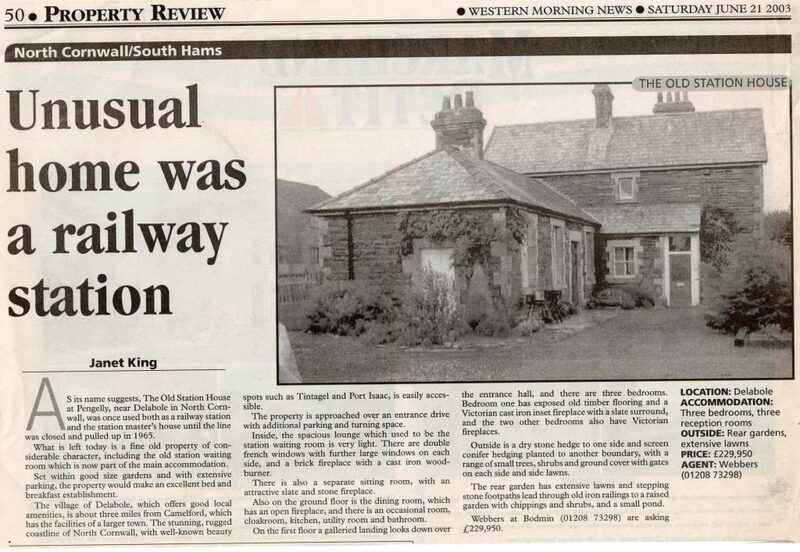 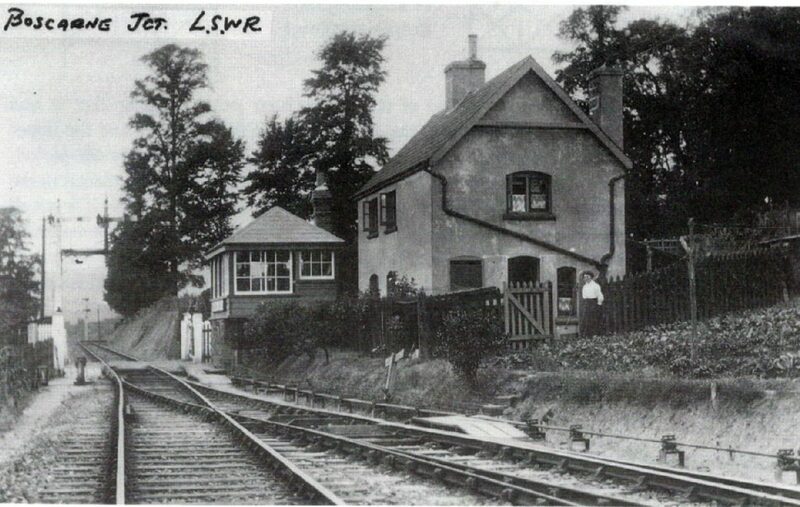 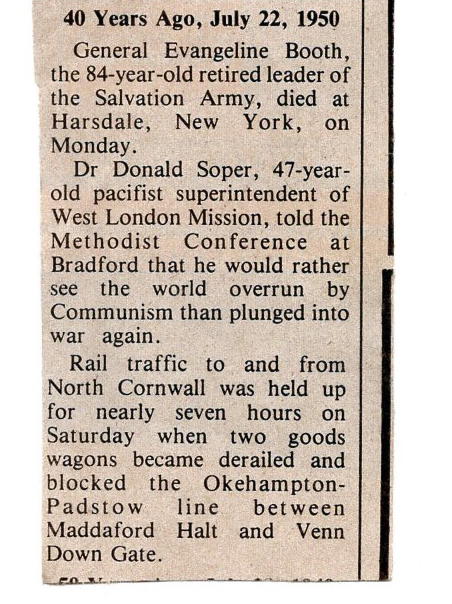 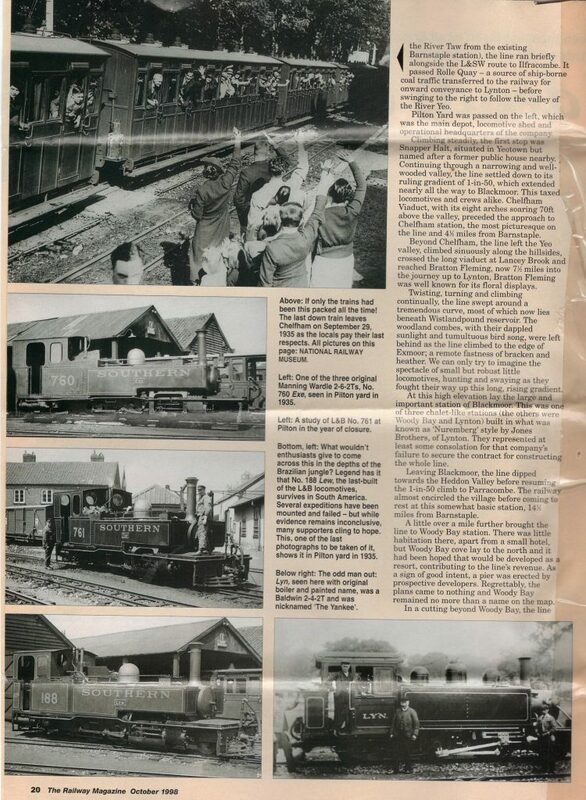 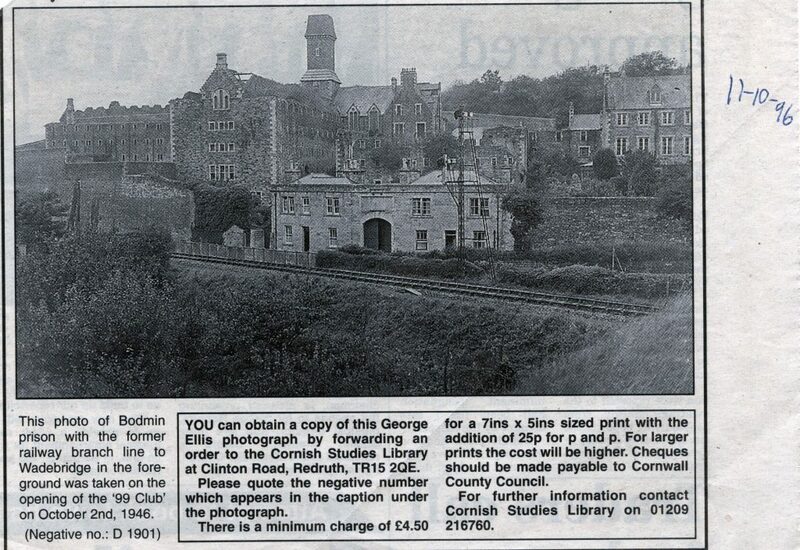 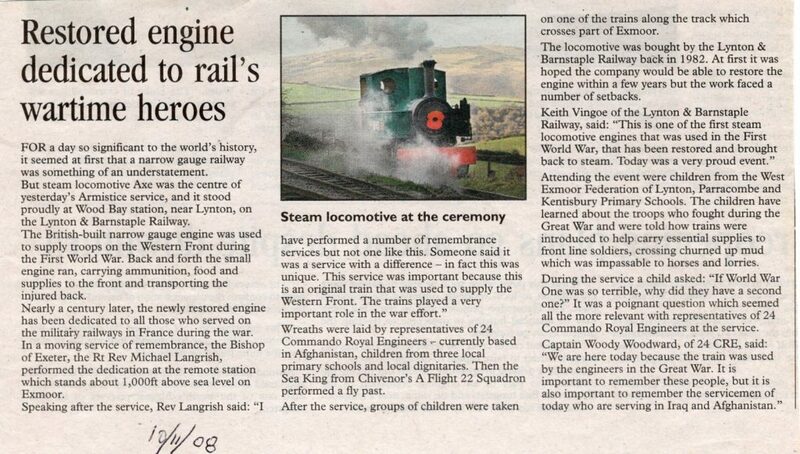 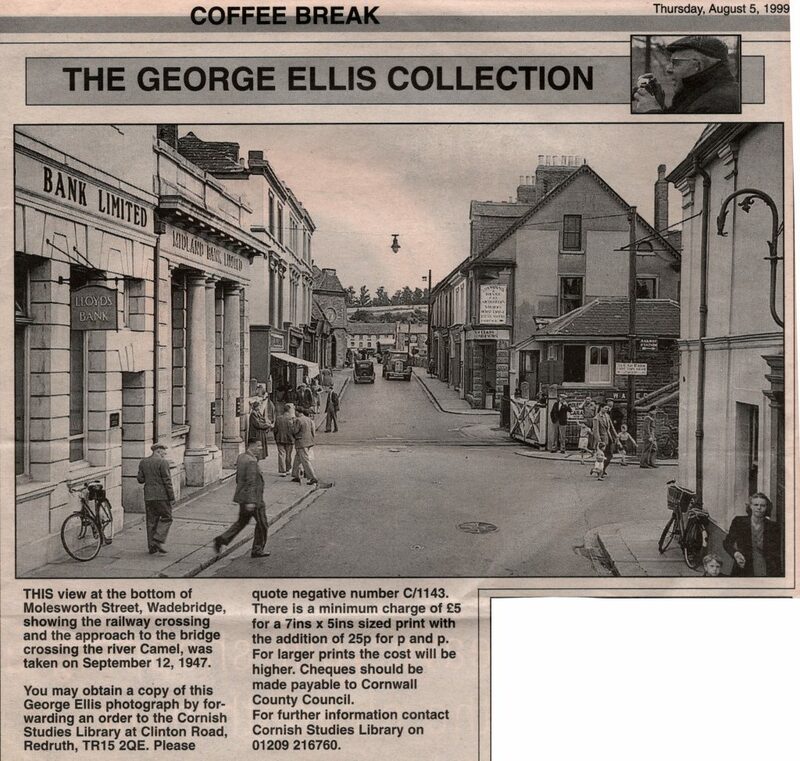 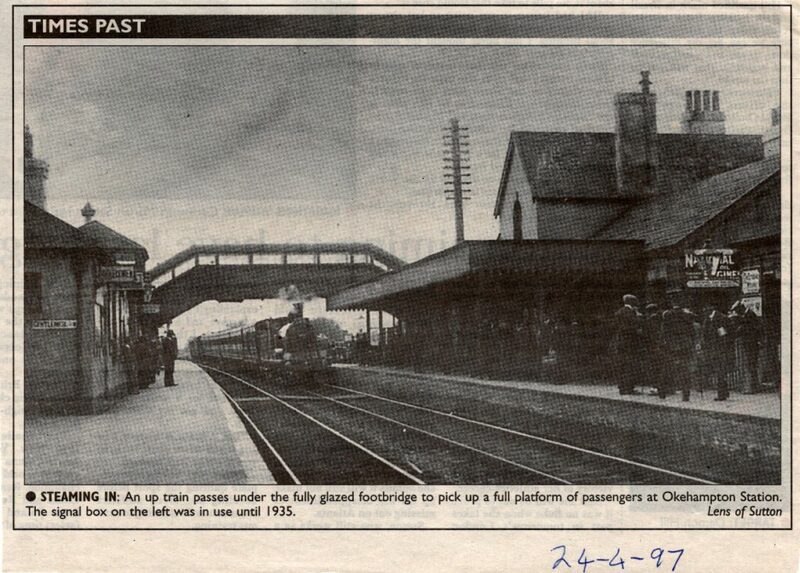 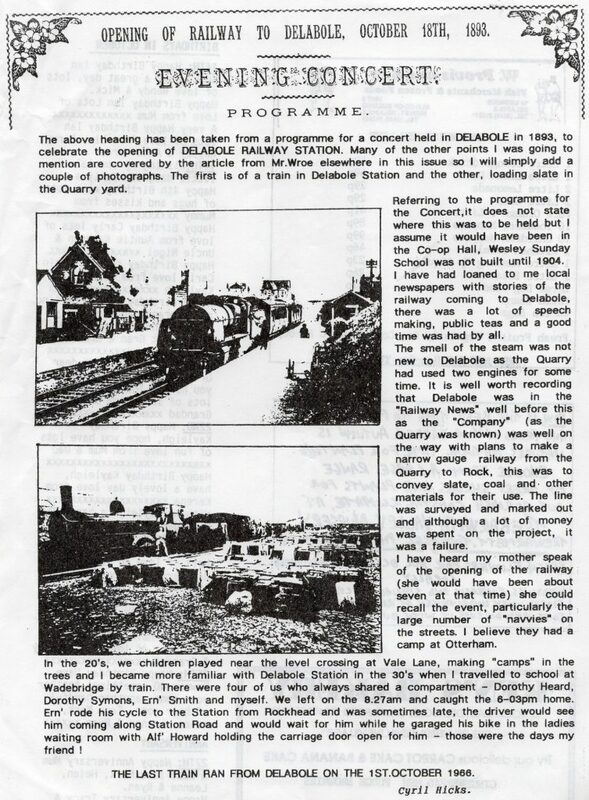 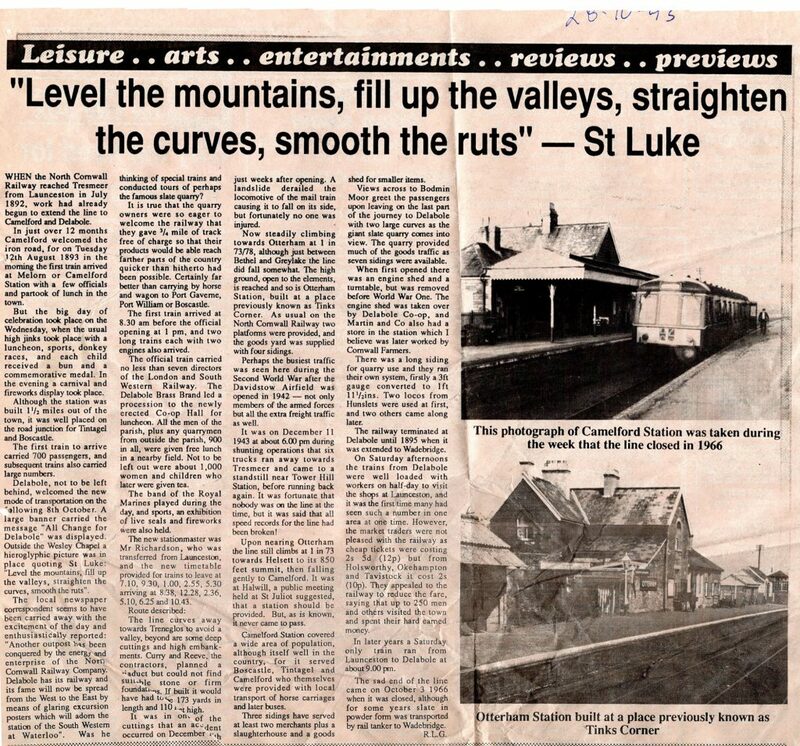 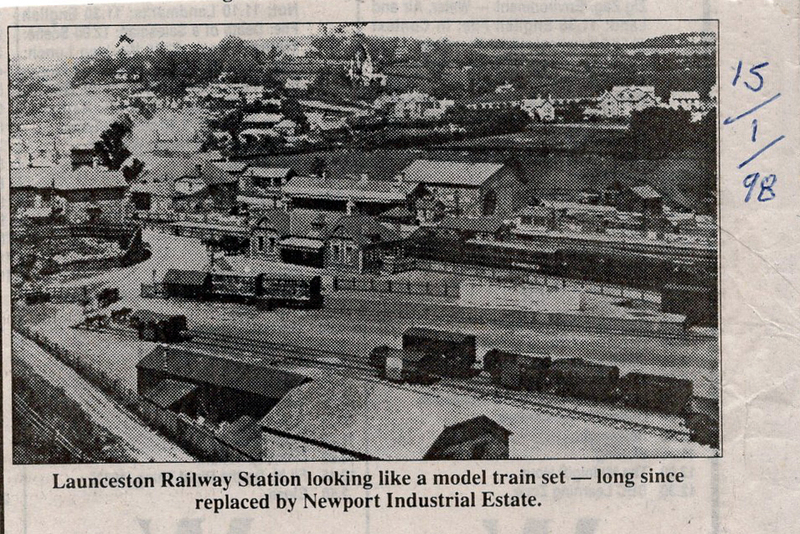 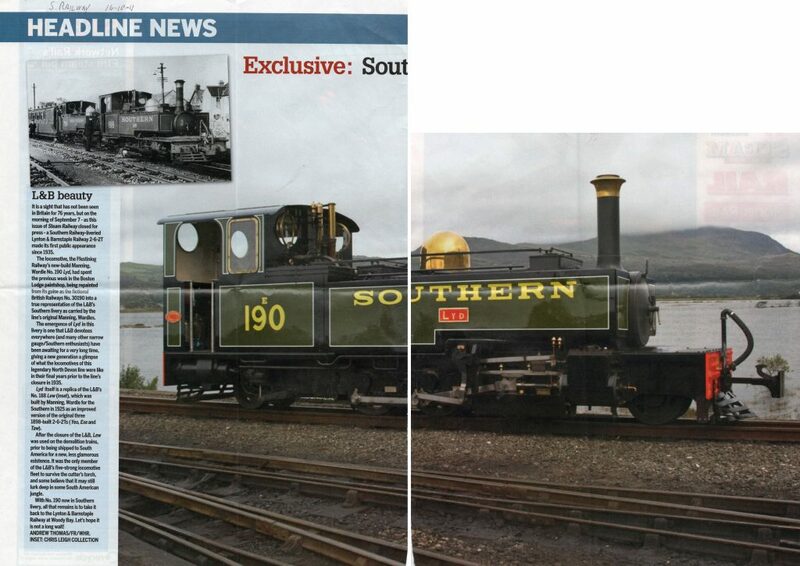 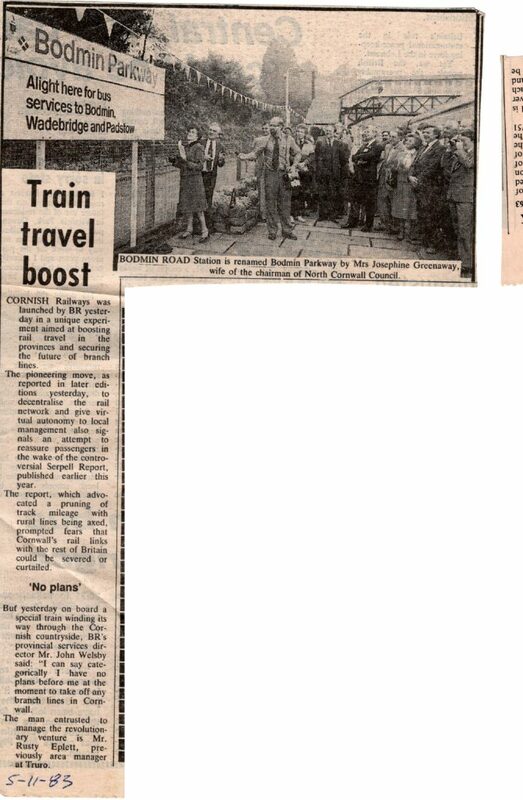 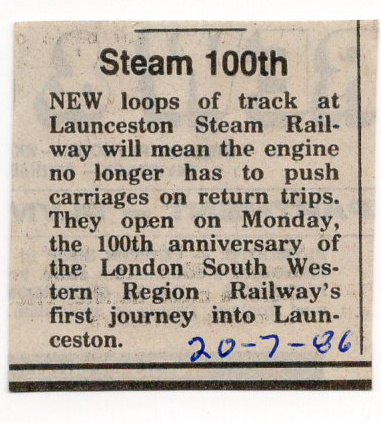 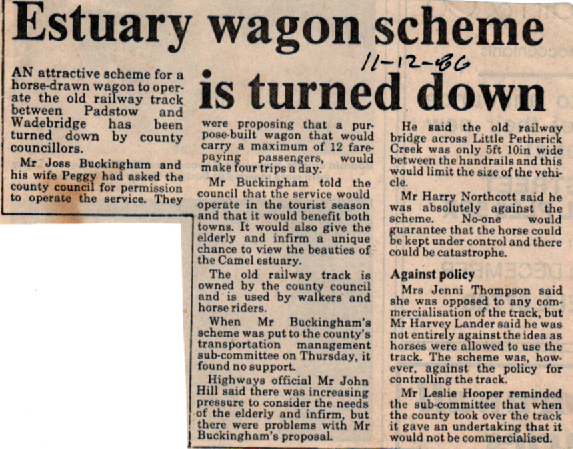 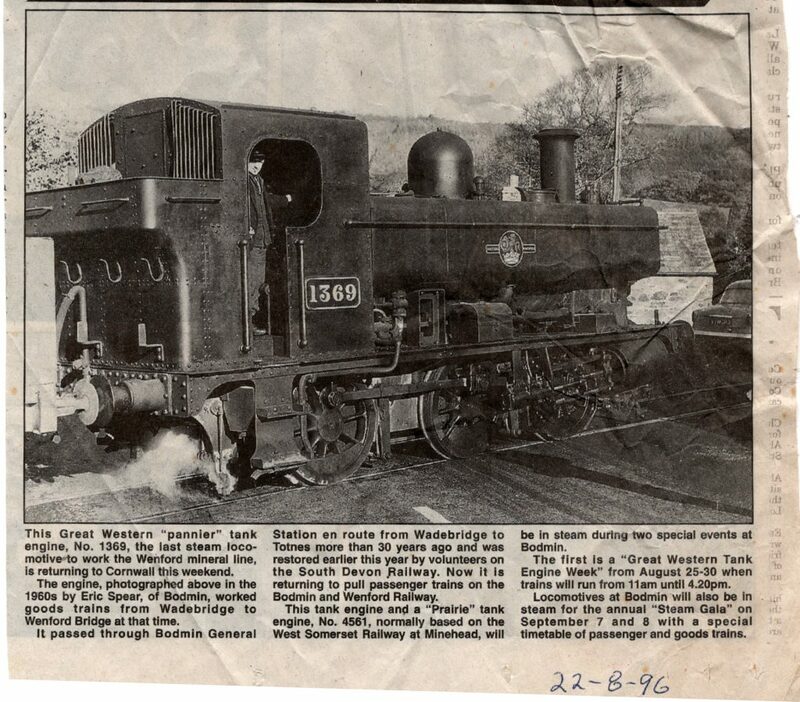 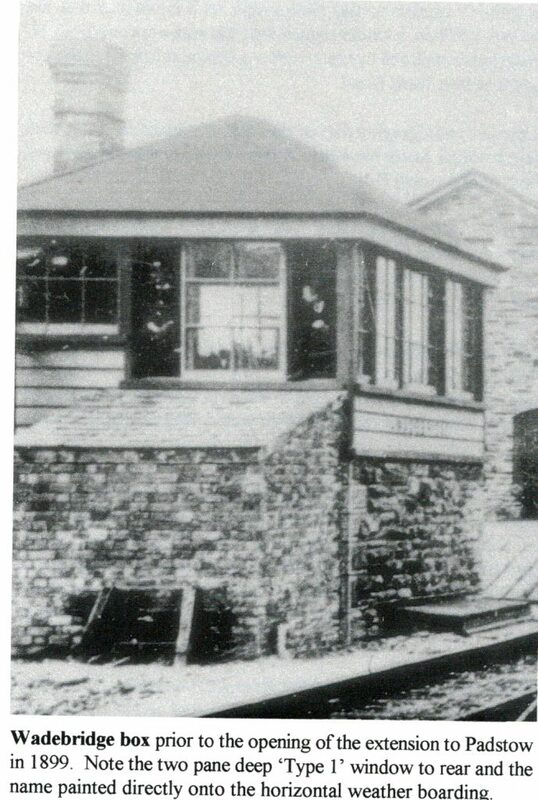 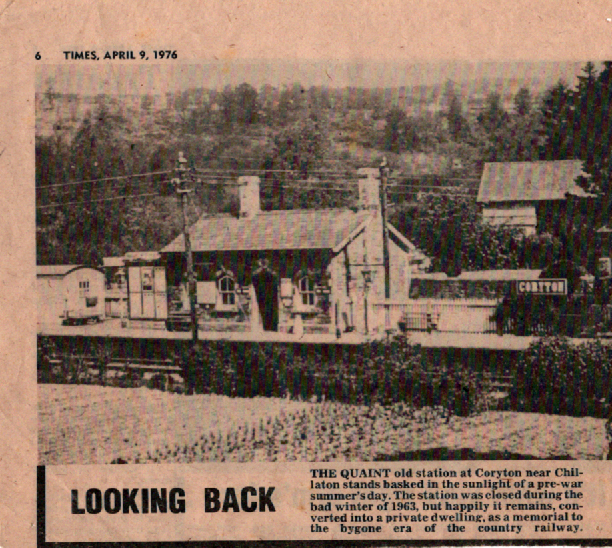 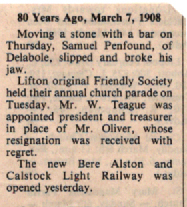 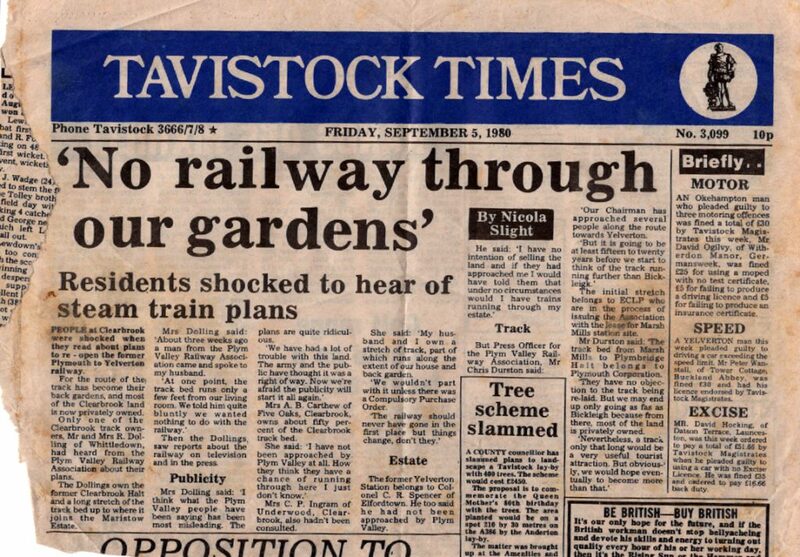 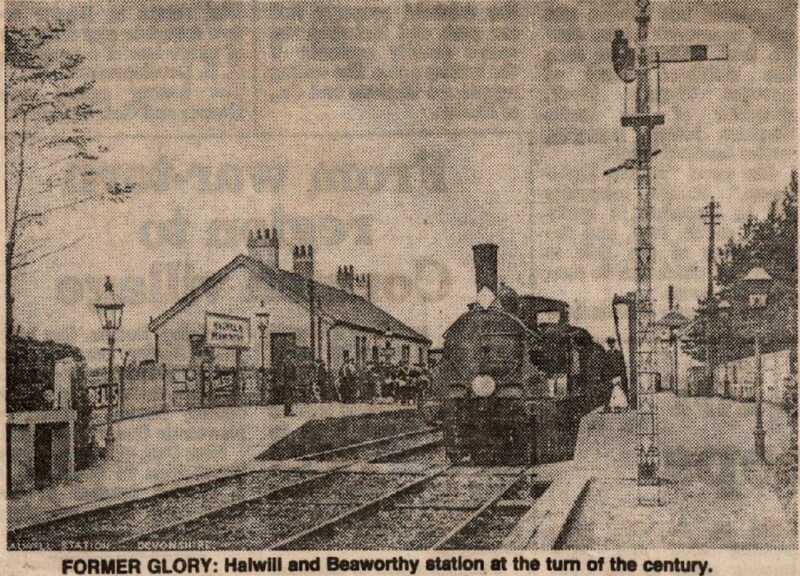 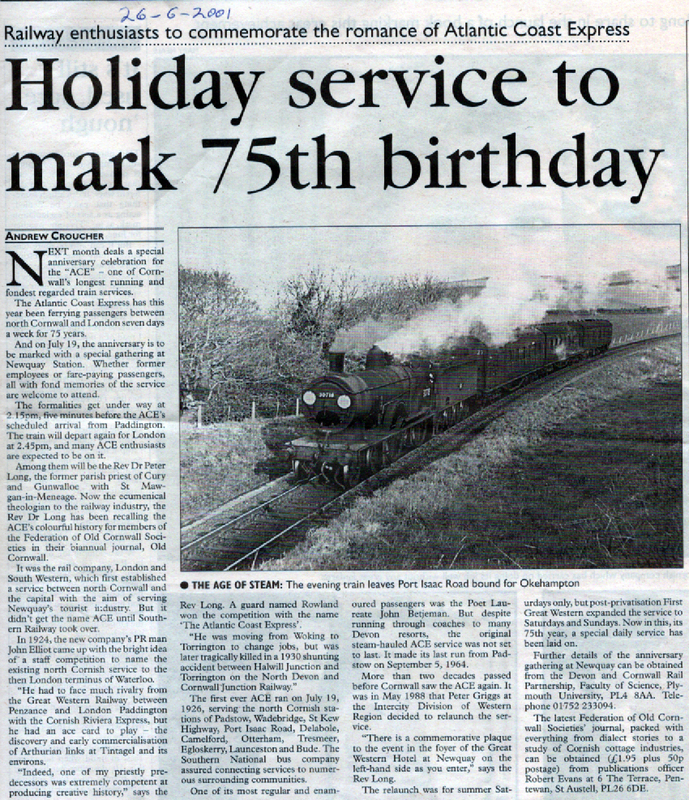 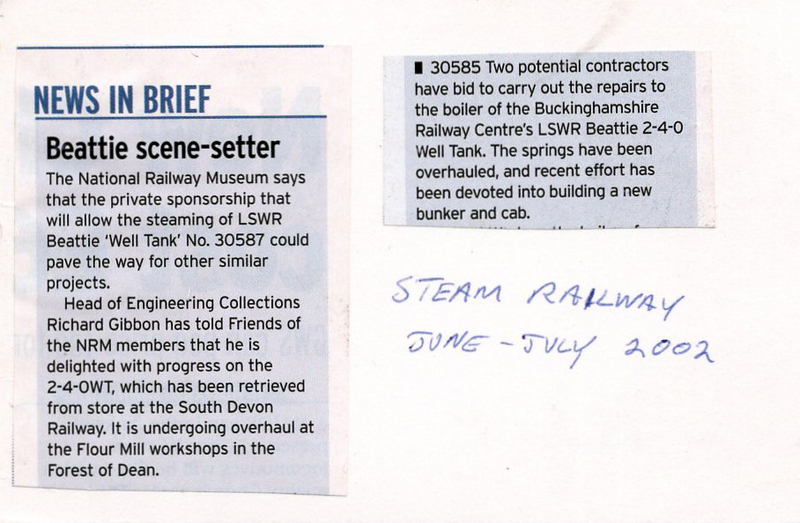 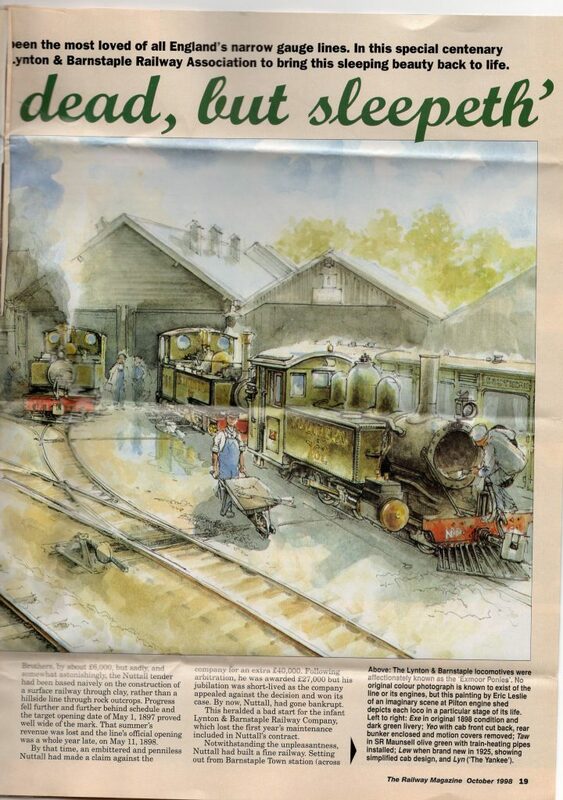 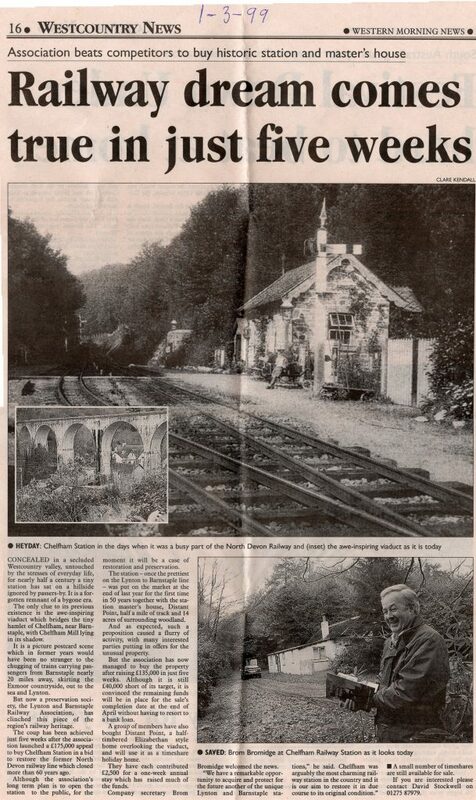 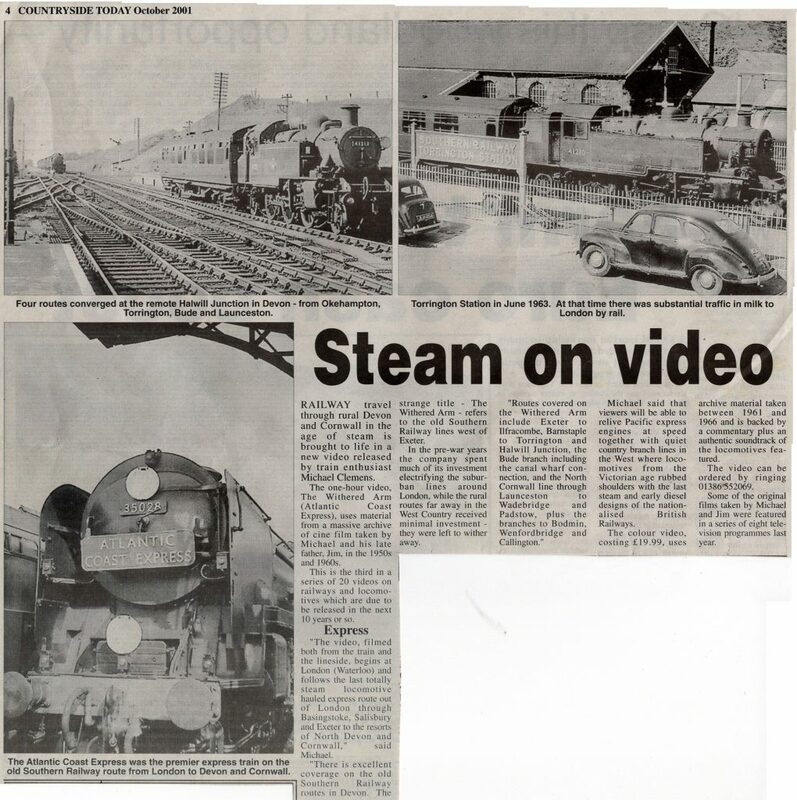 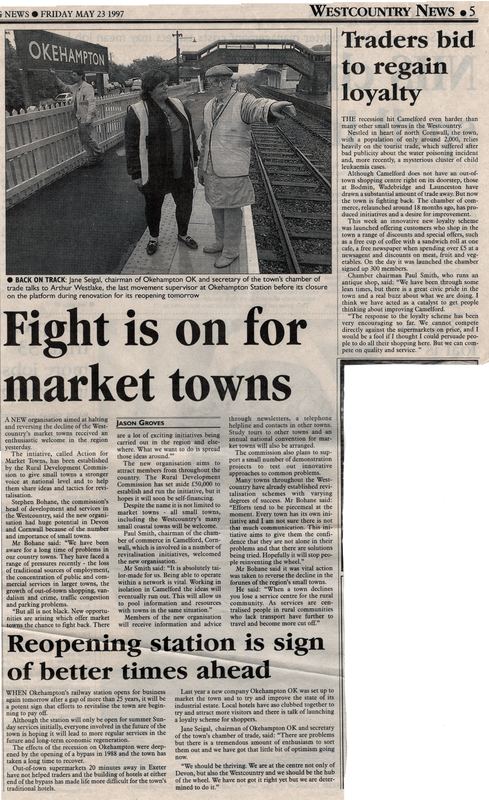 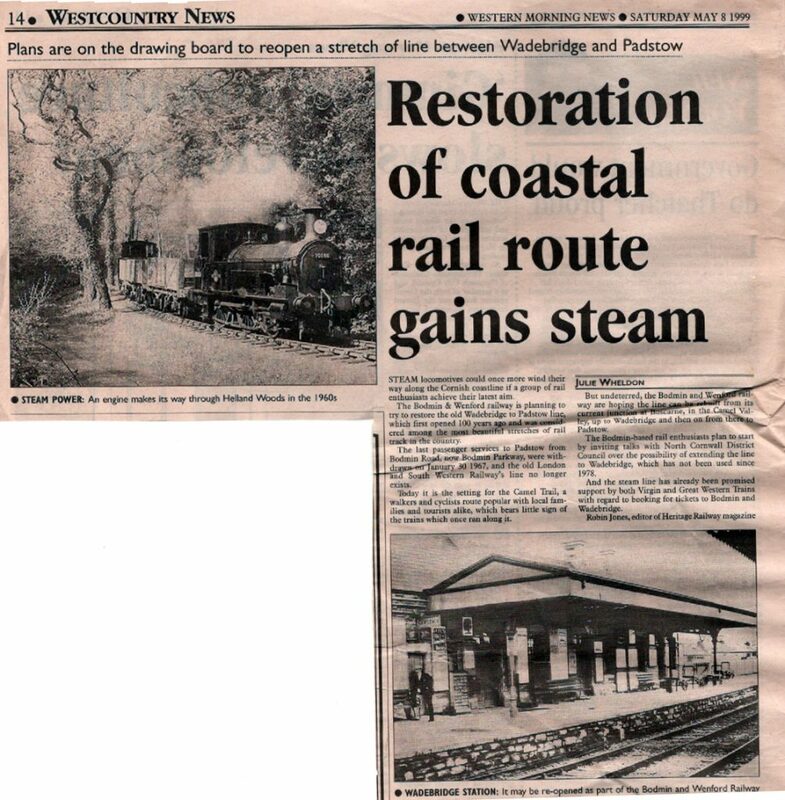 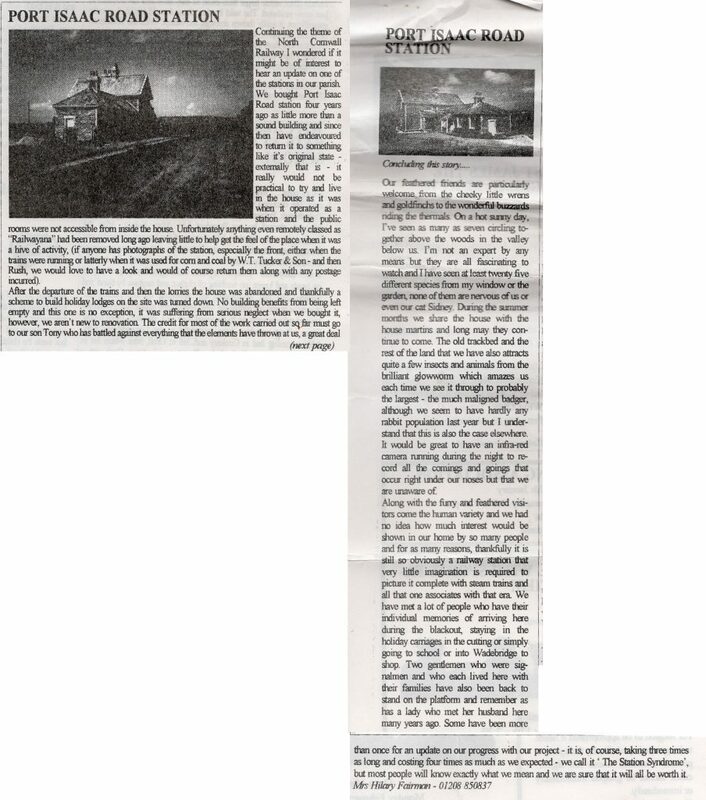 1997 article on the re-opening of Okehampton Station. 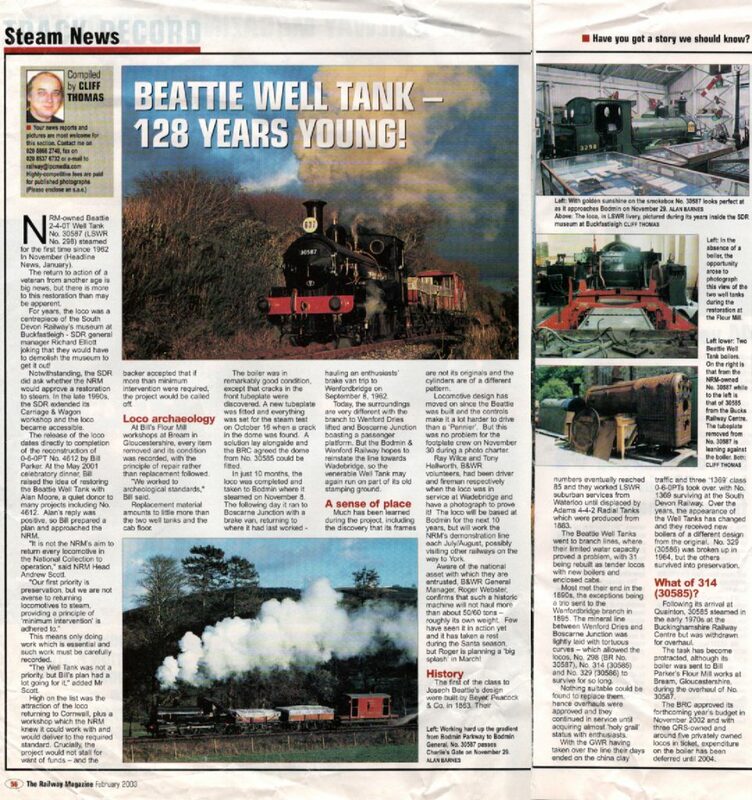 Beattie Well Tank No. 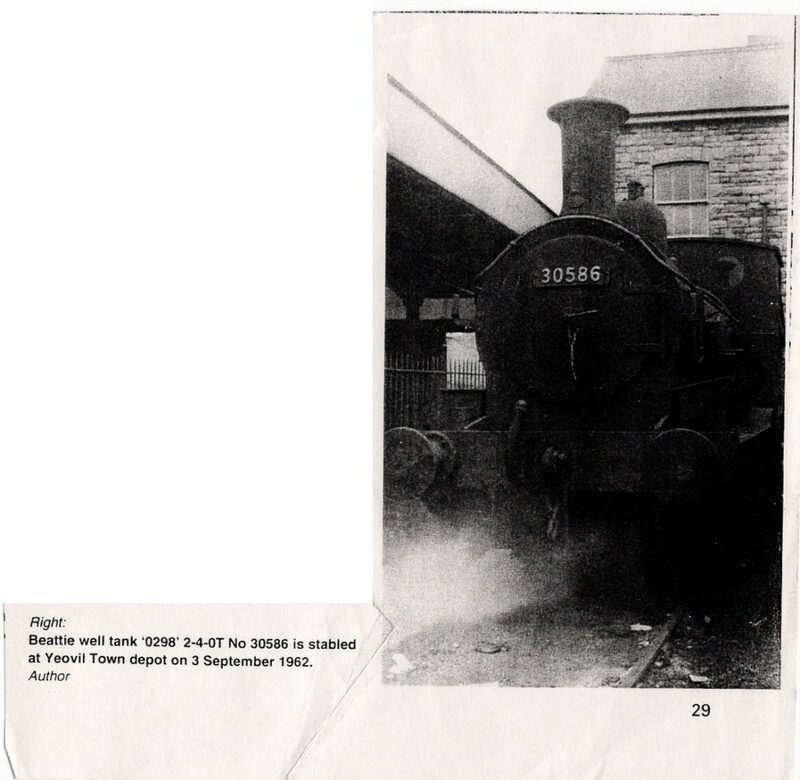 30587 was moved to Lydney on December 2nd, 2001, for assessment of work before restoration. 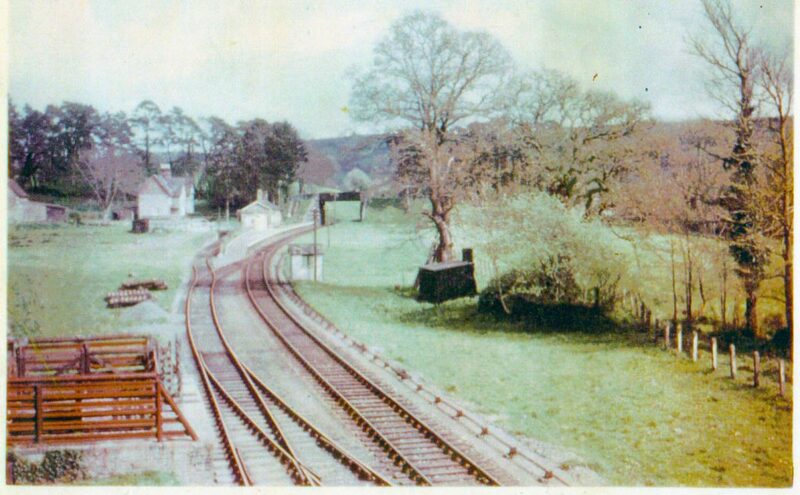 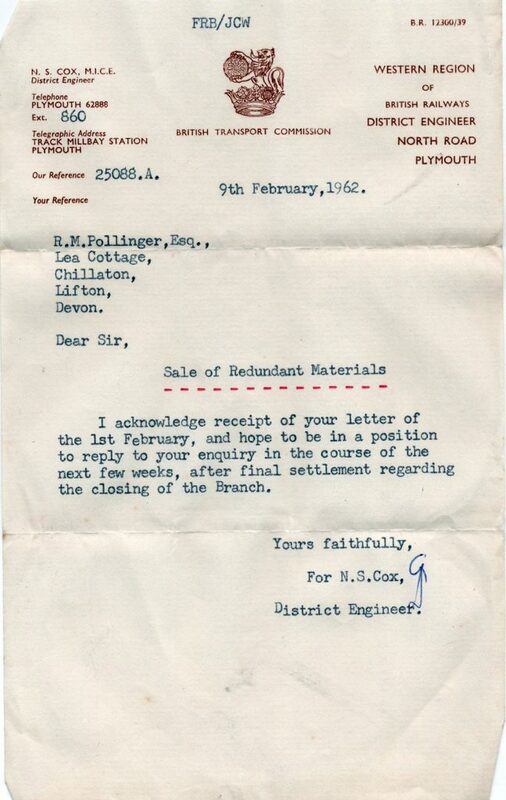 If agreed with NRM it will go to Bodmin & Wenford Railway, then to York before Buckfastleigh with the Dart Valley Railway.